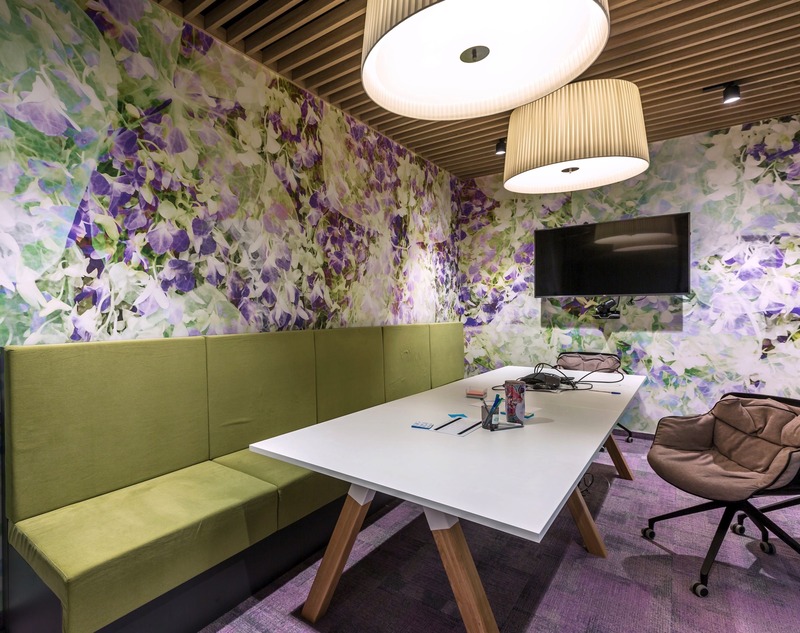 Cultural change to an inspiring and agile office. 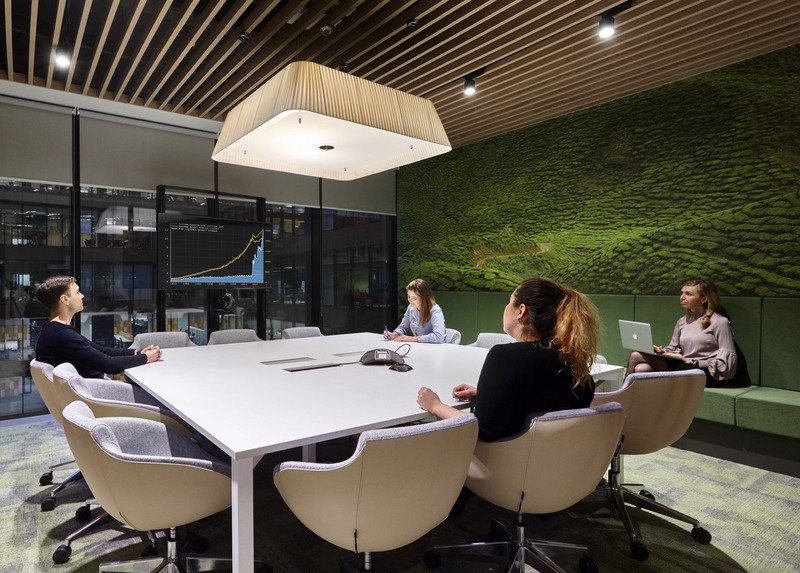 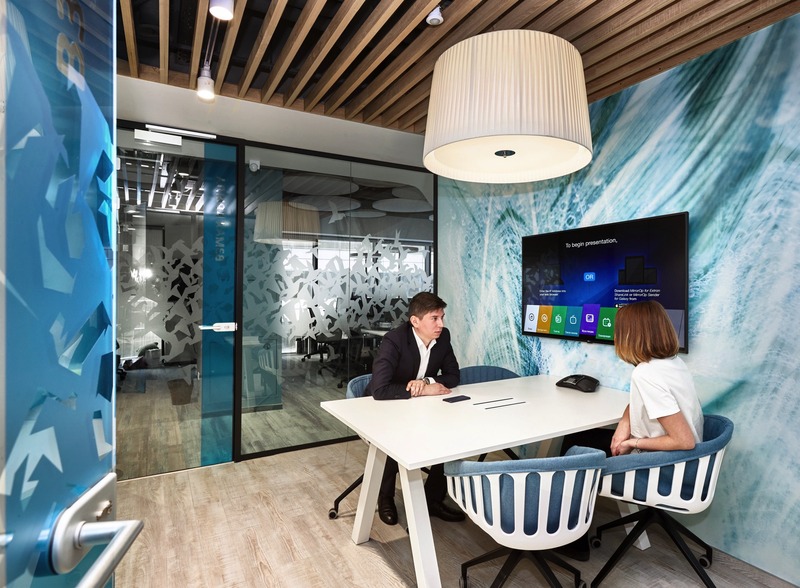 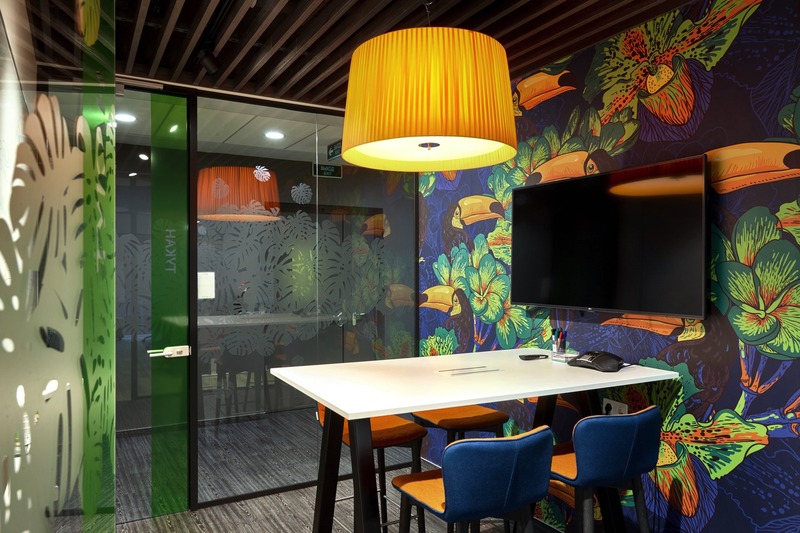 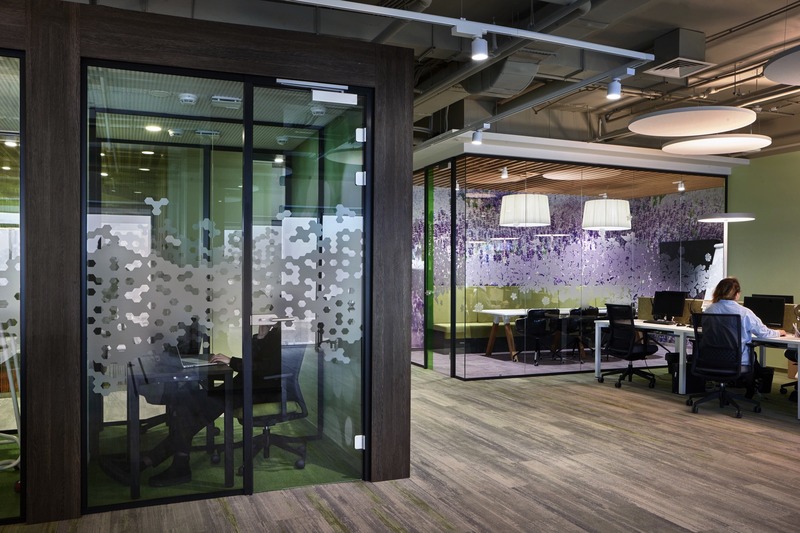 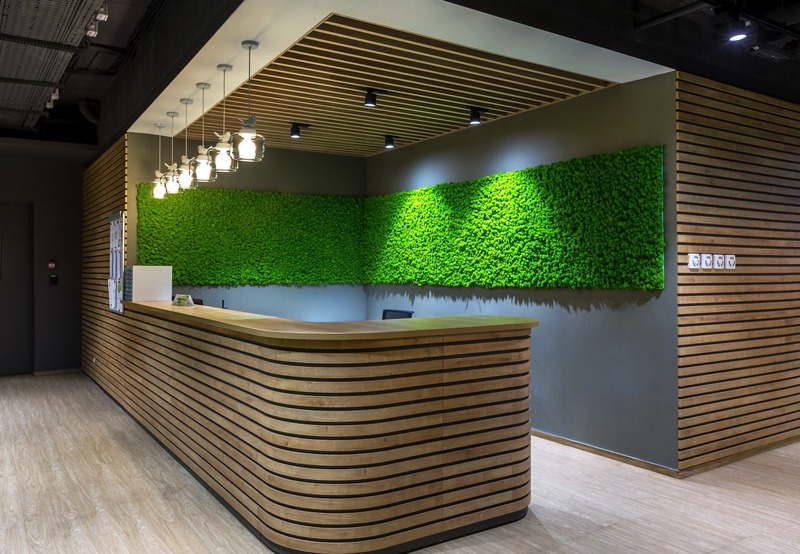 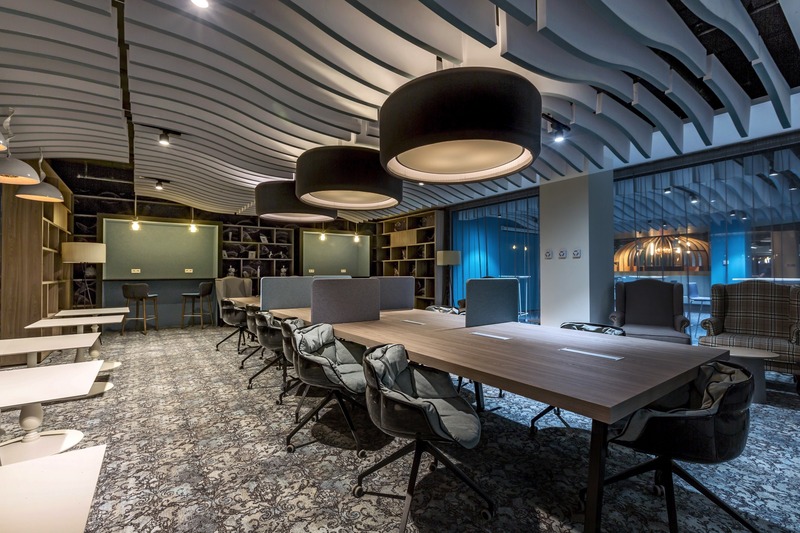 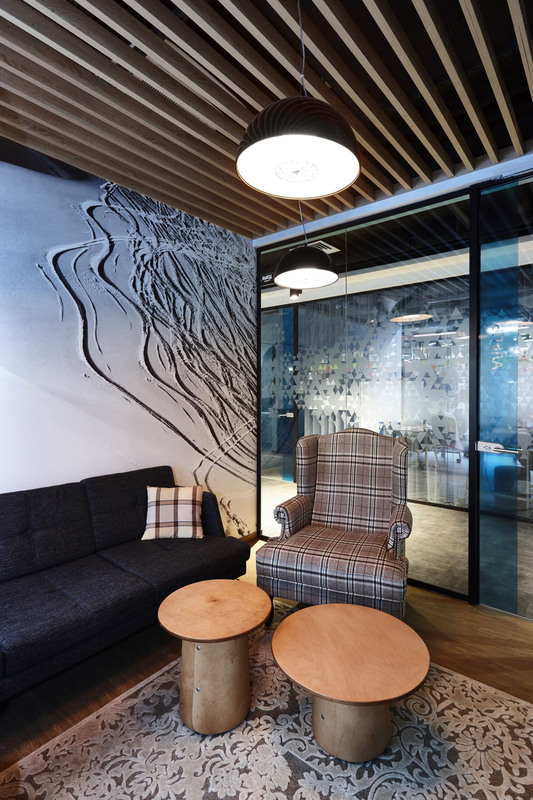 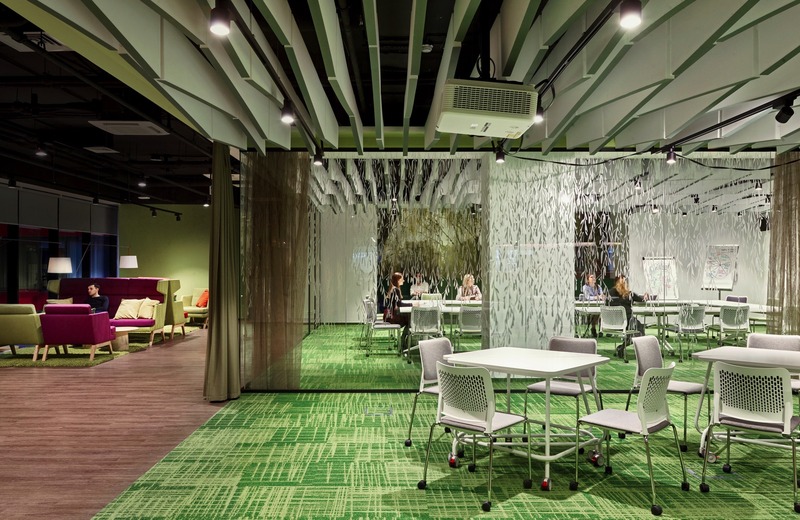 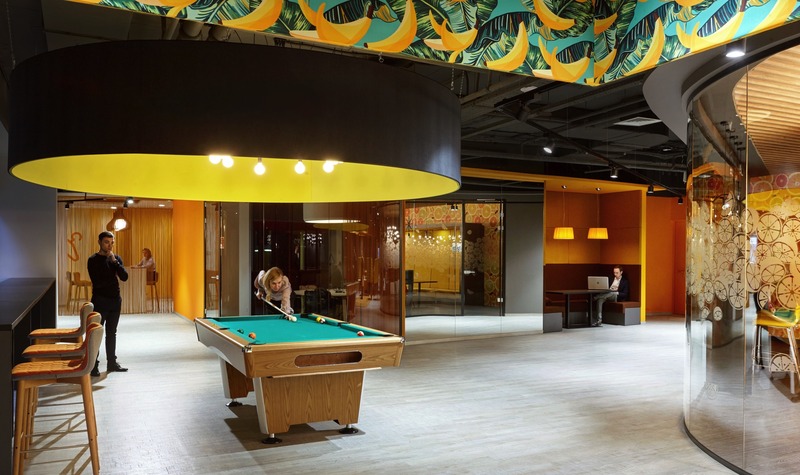 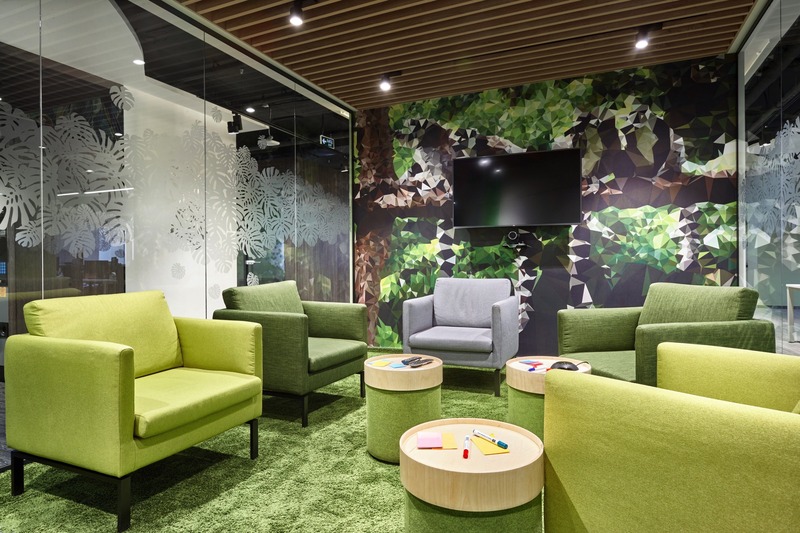 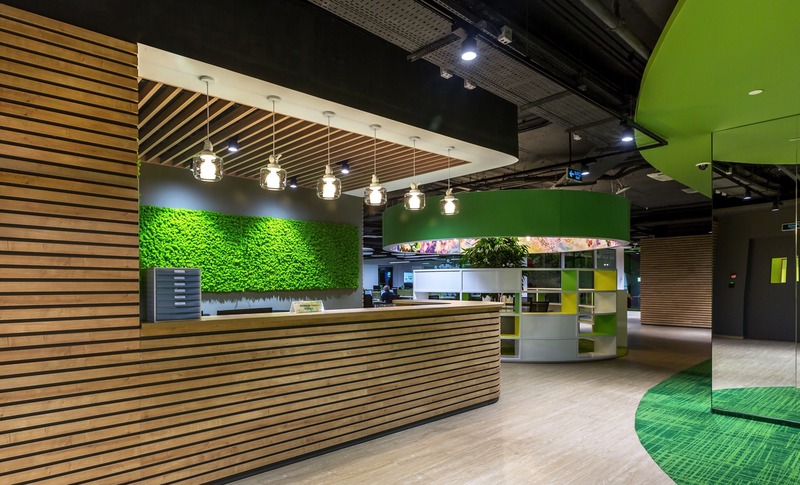 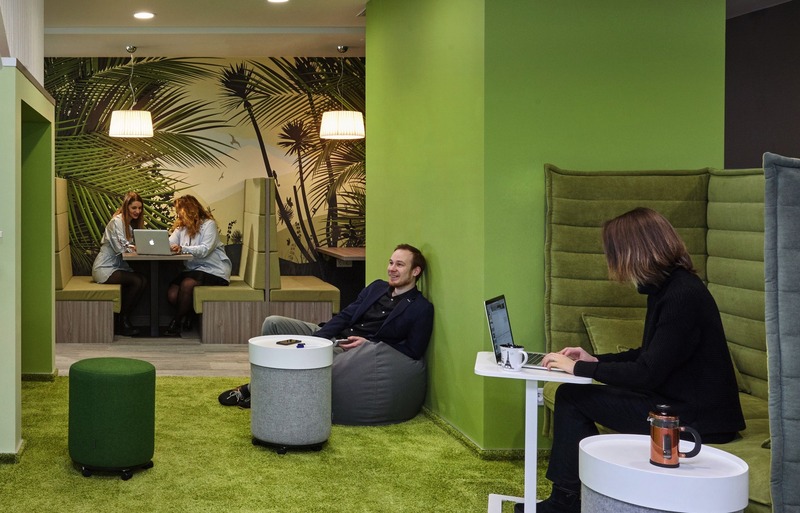 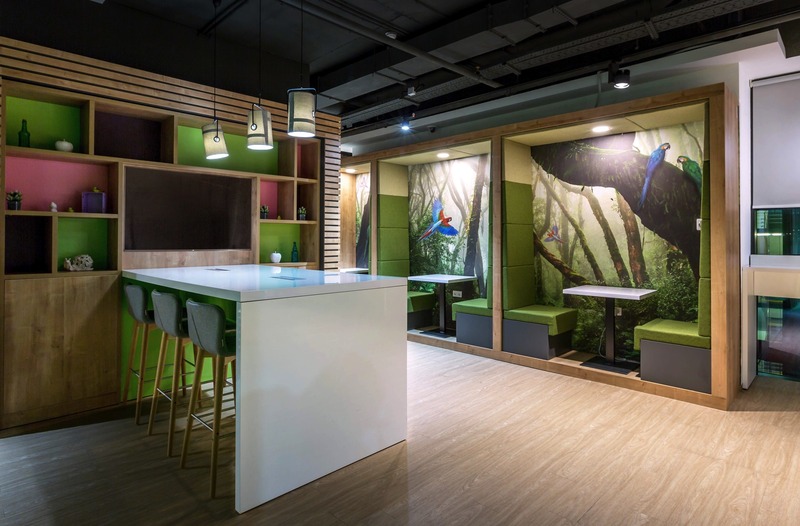 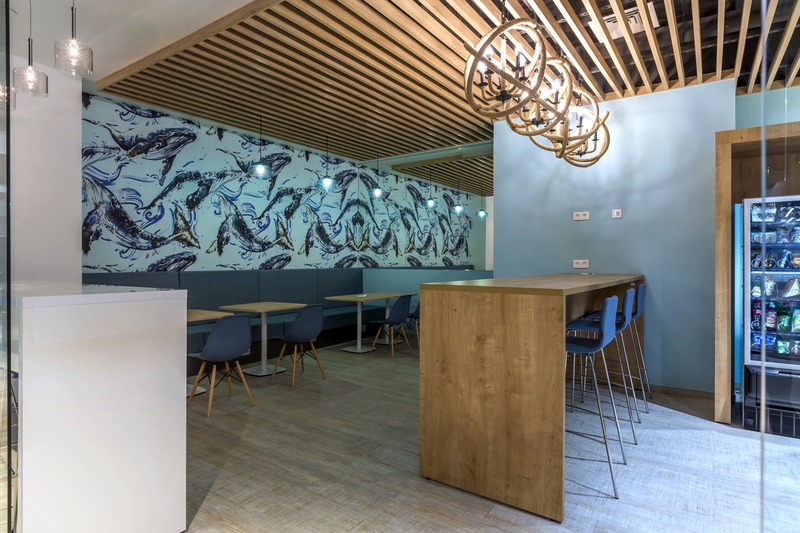 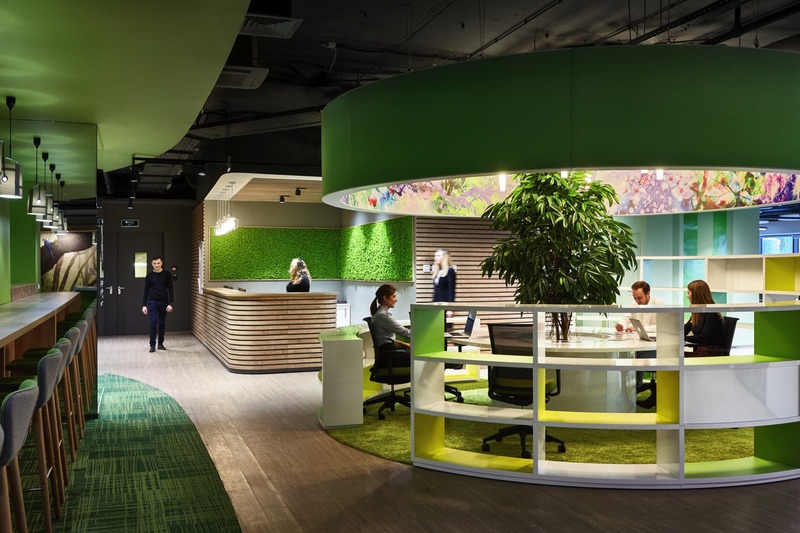 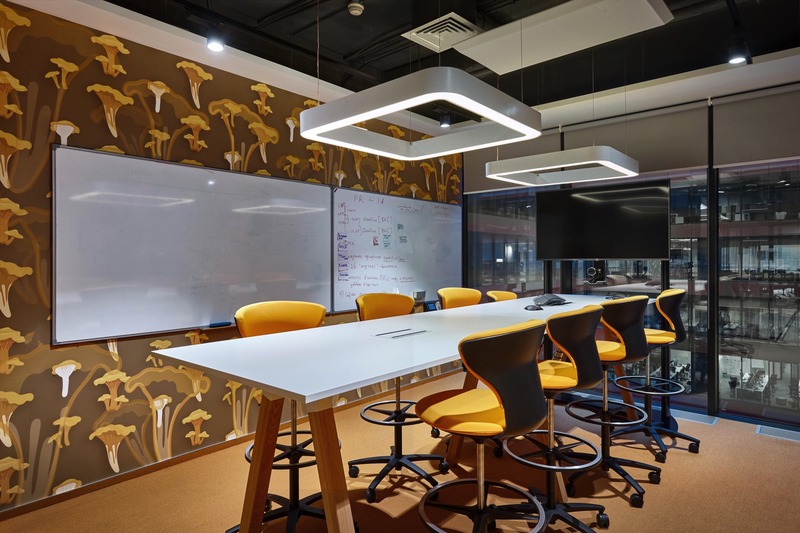 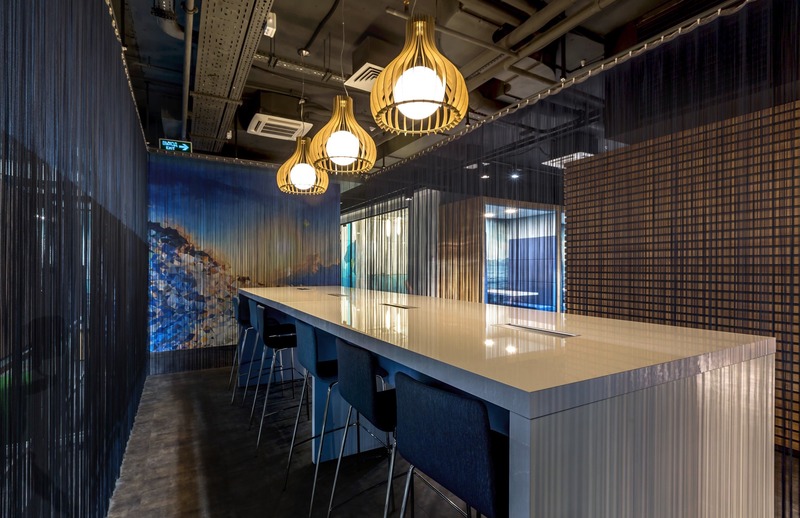 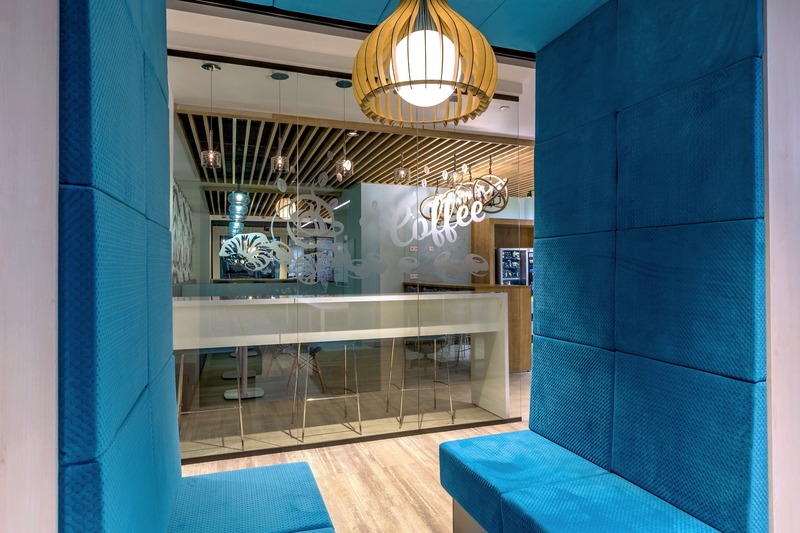 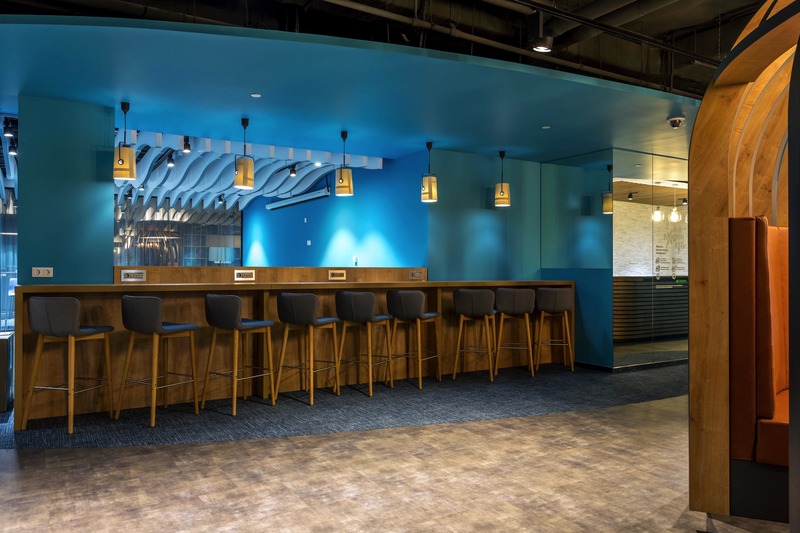 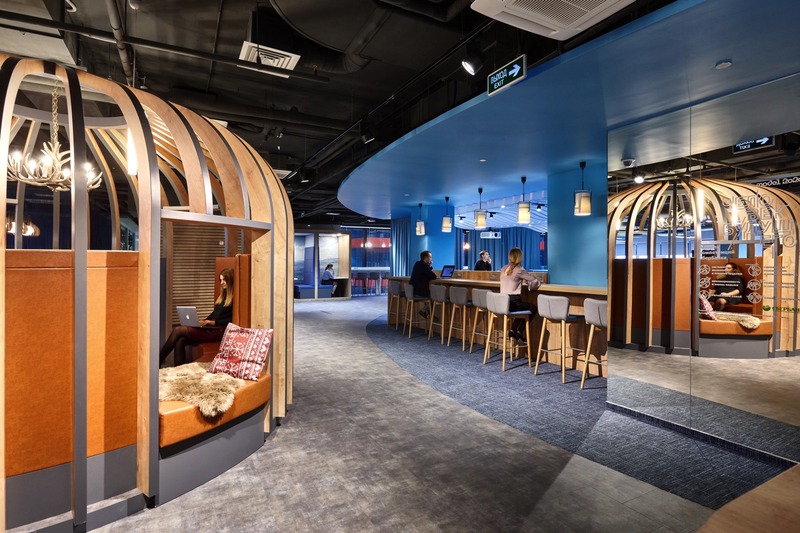 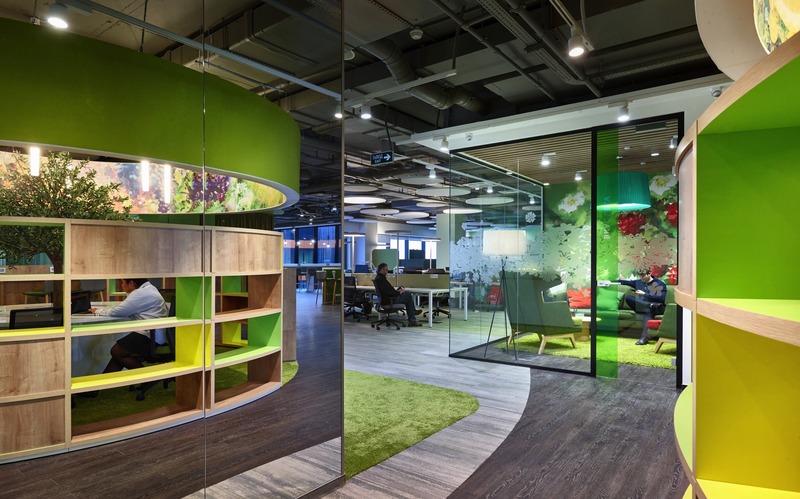 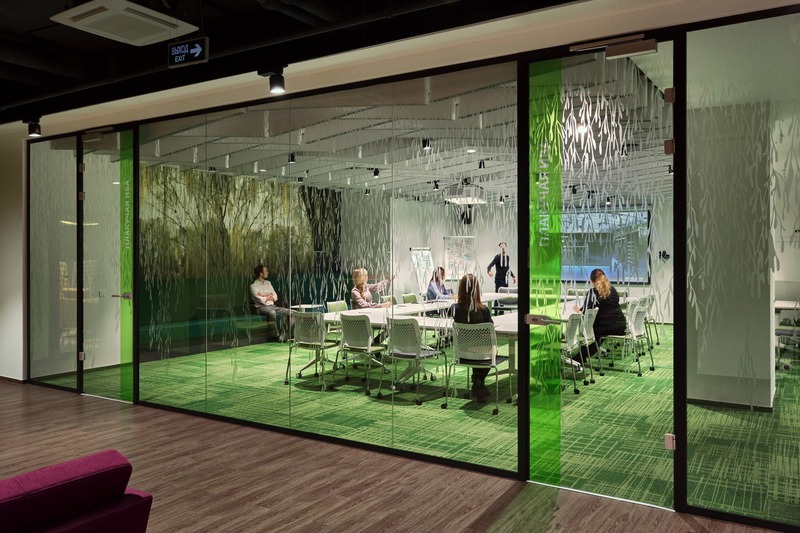 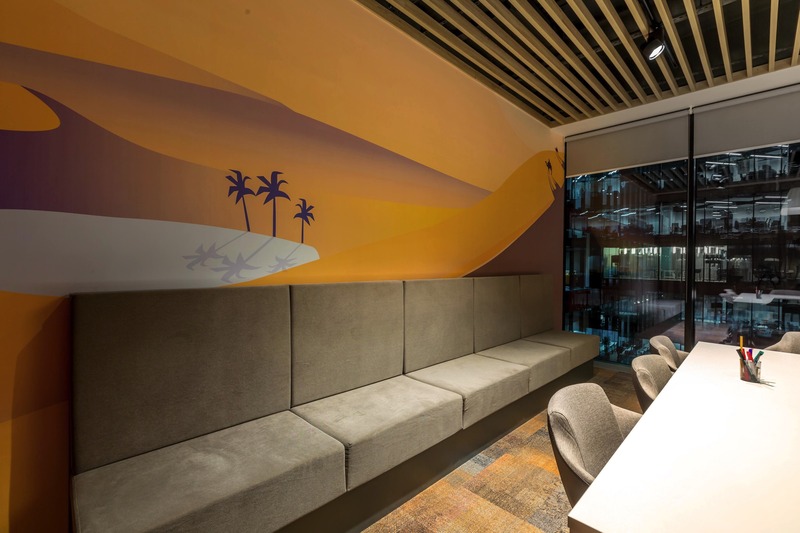 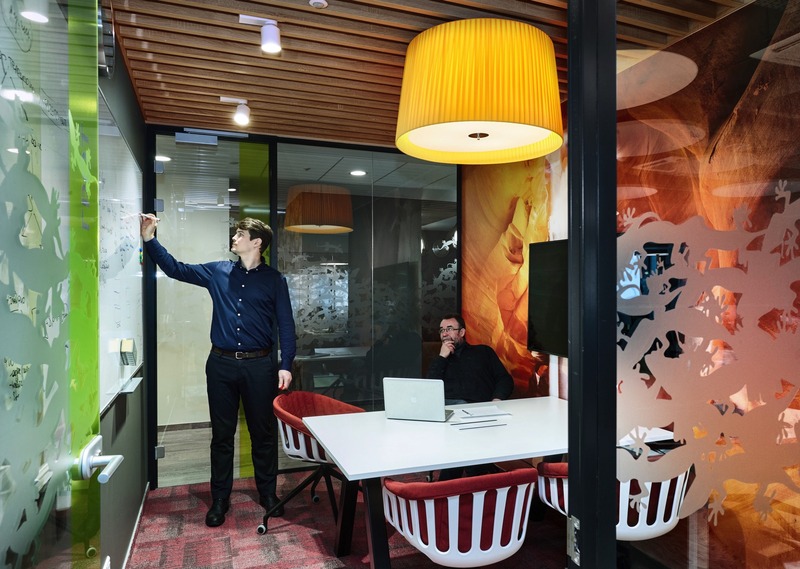 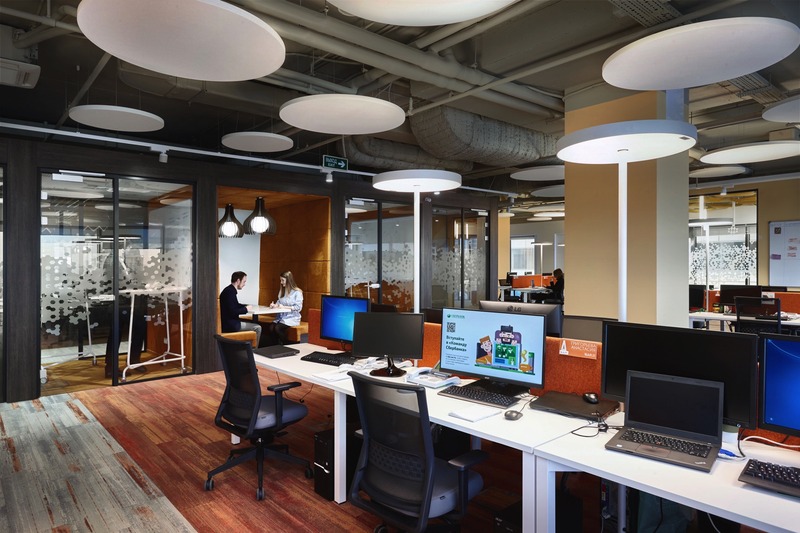 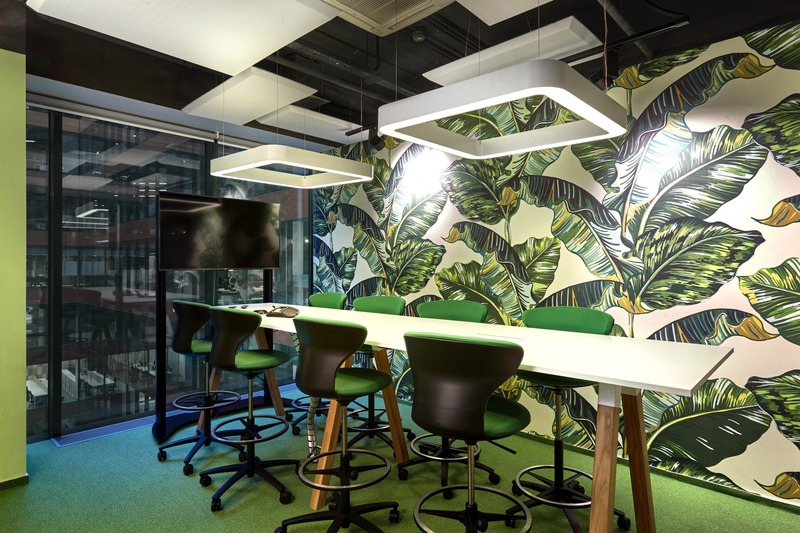 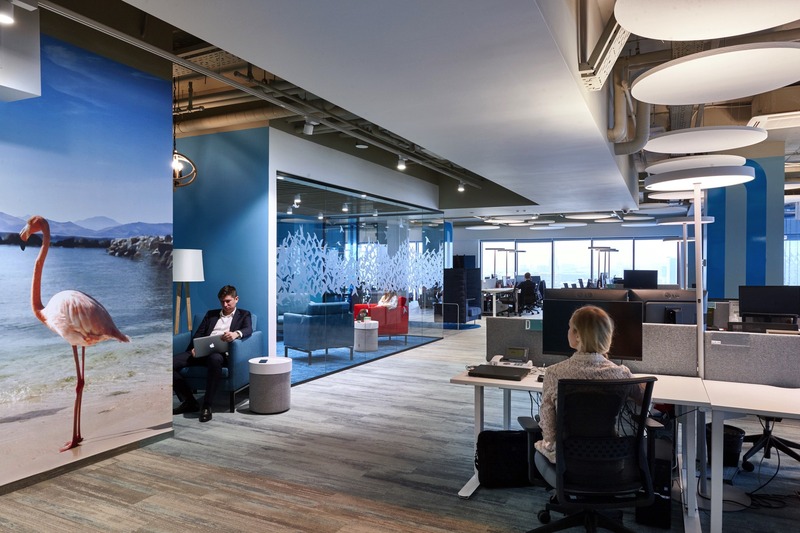 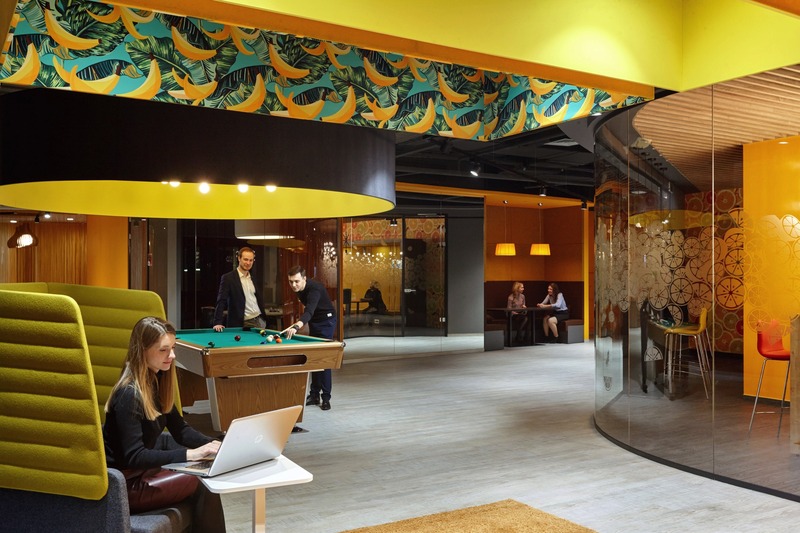 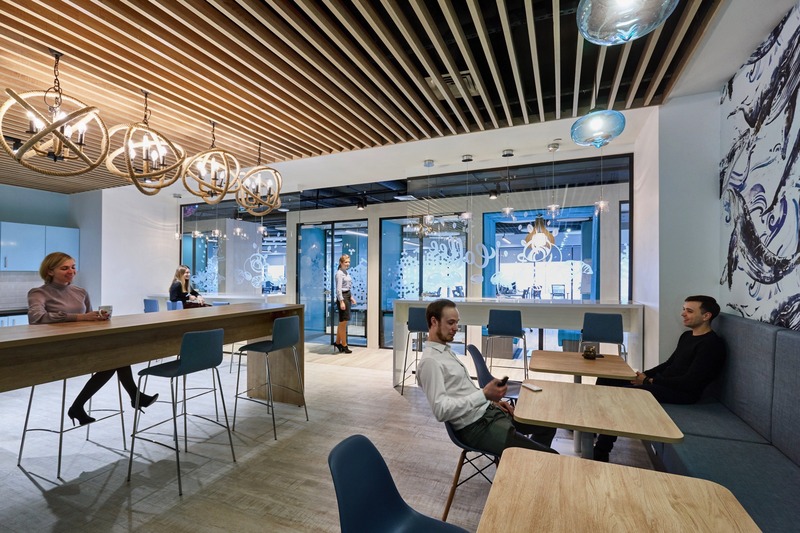 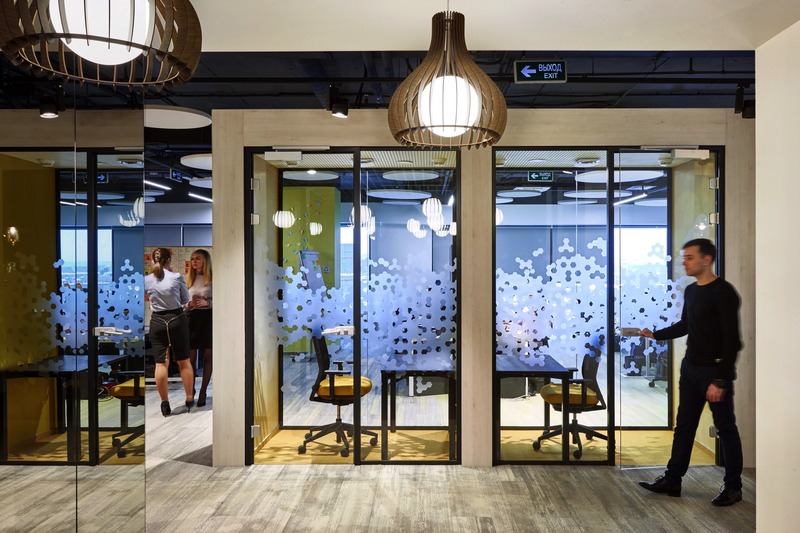 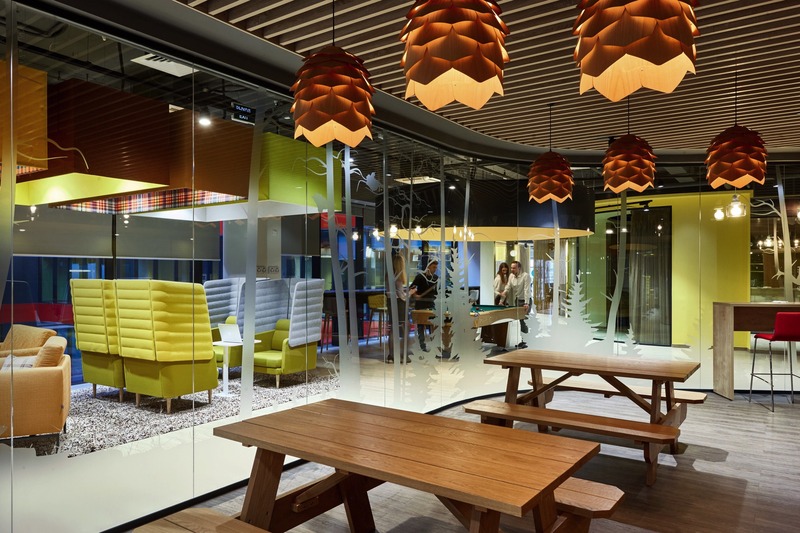 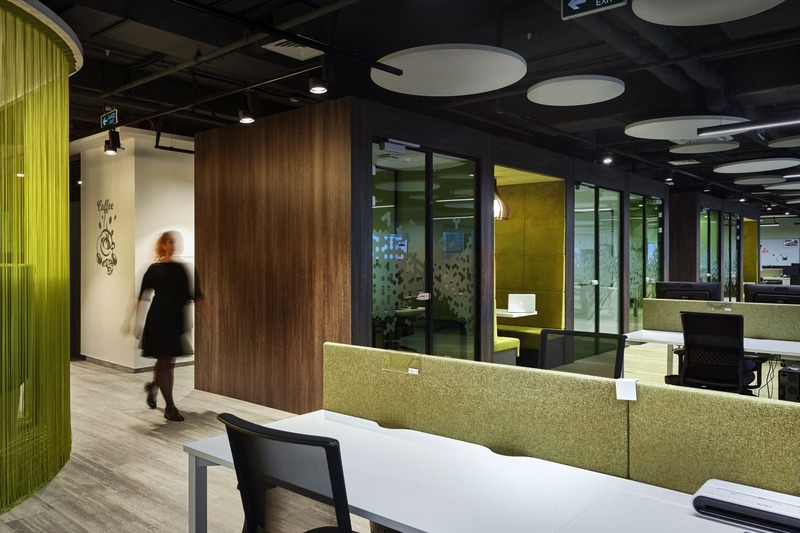 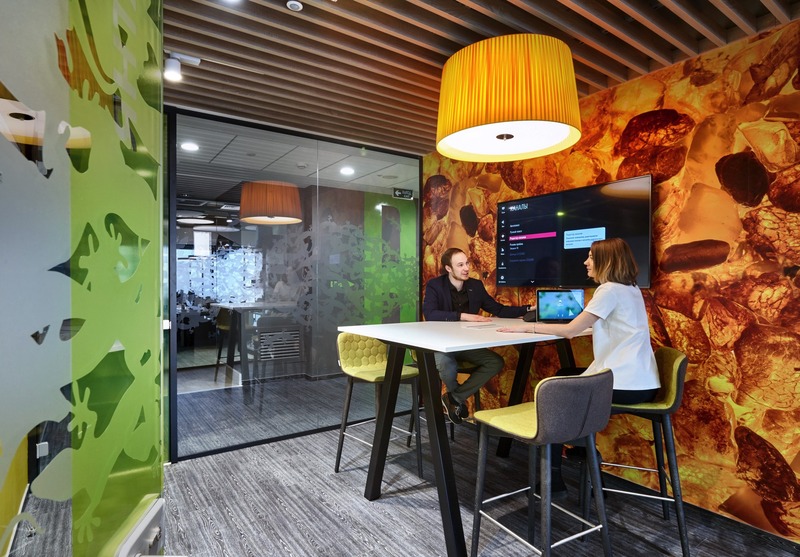 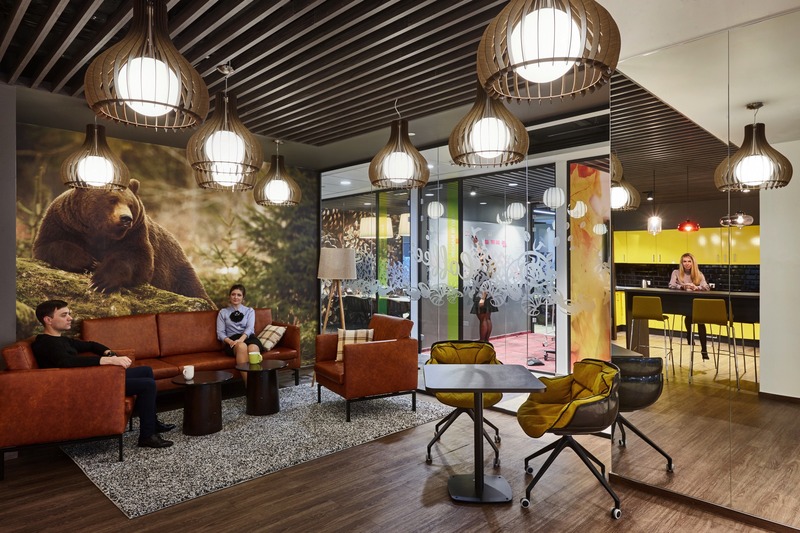 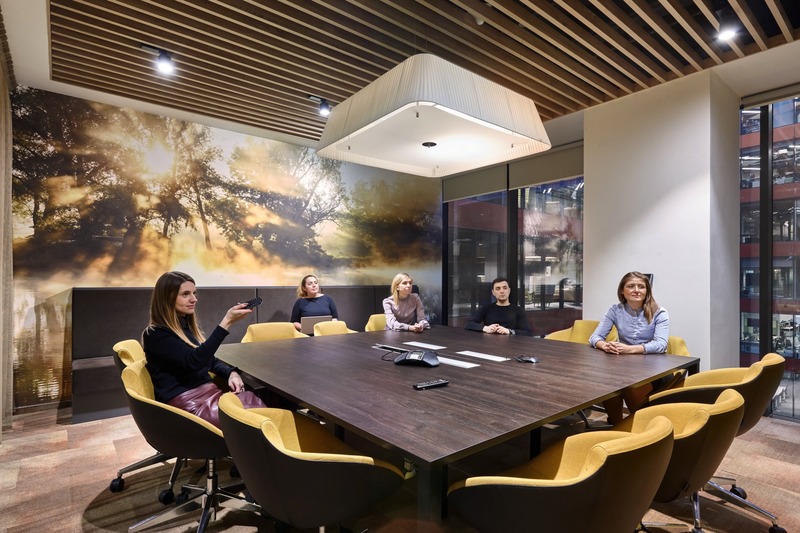 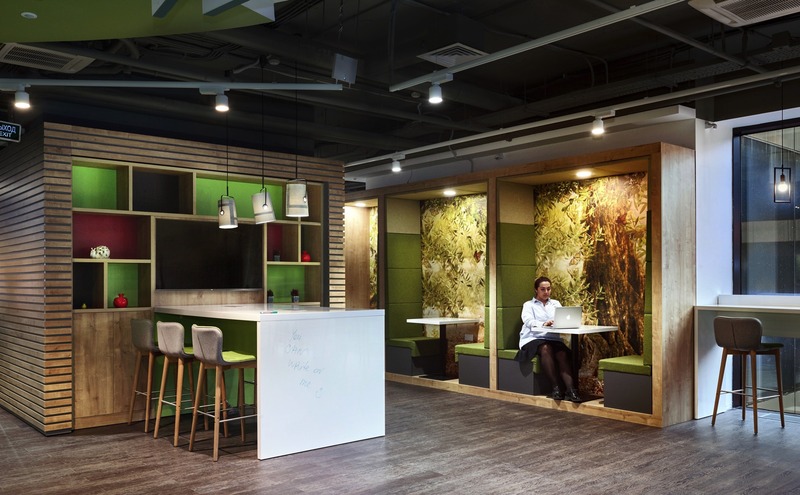 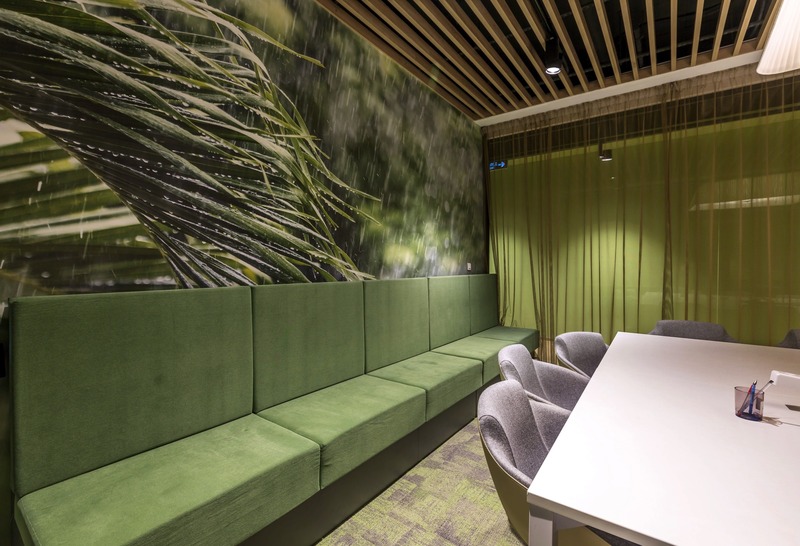 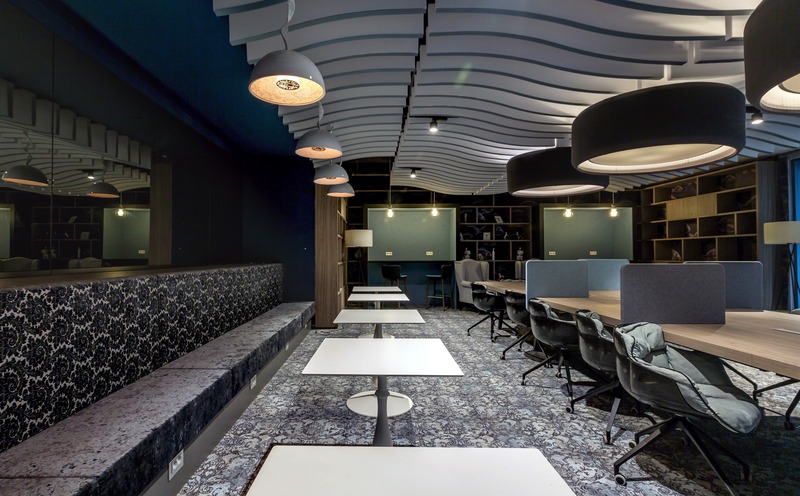 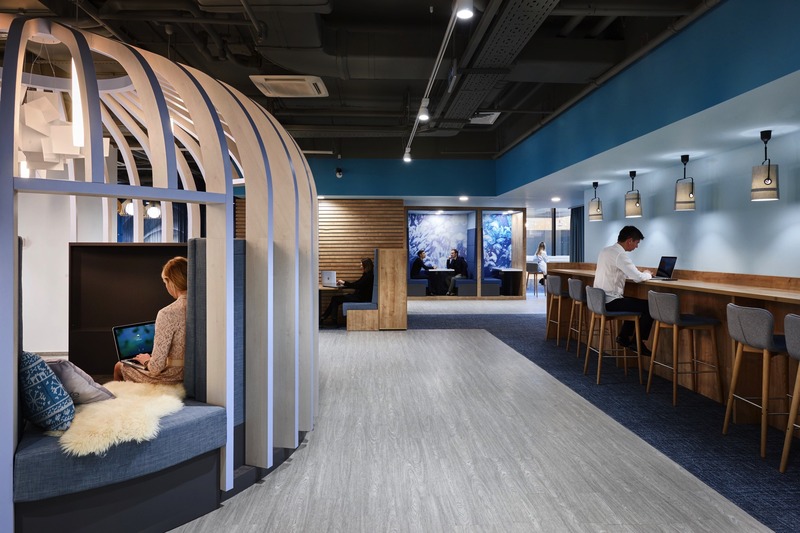 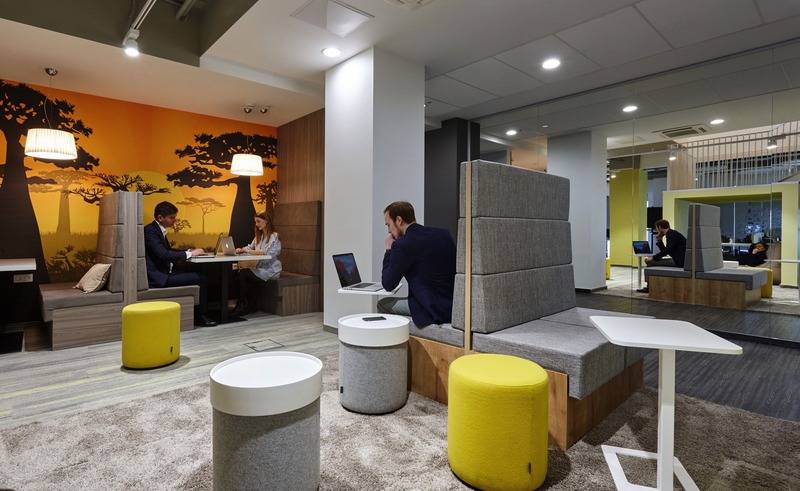 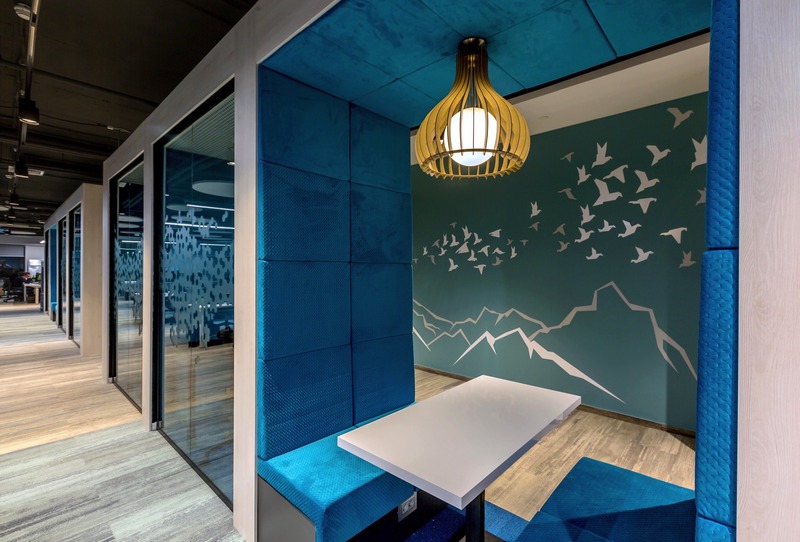 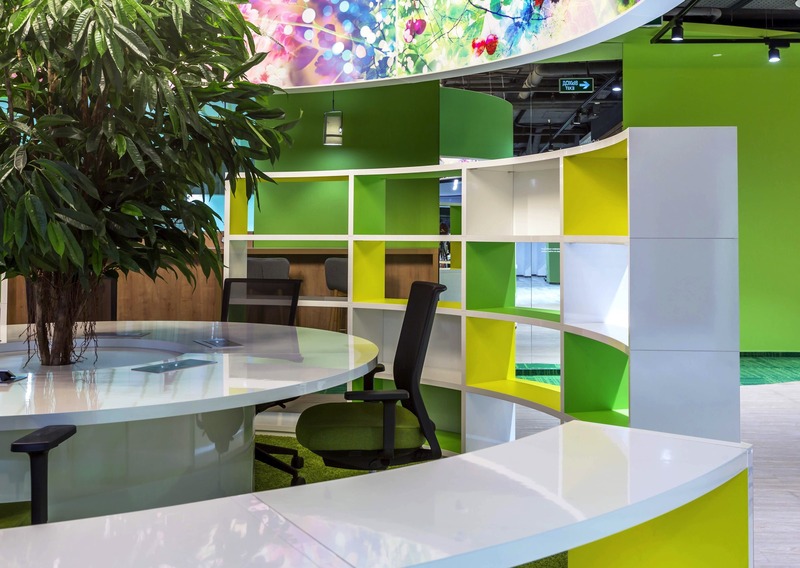 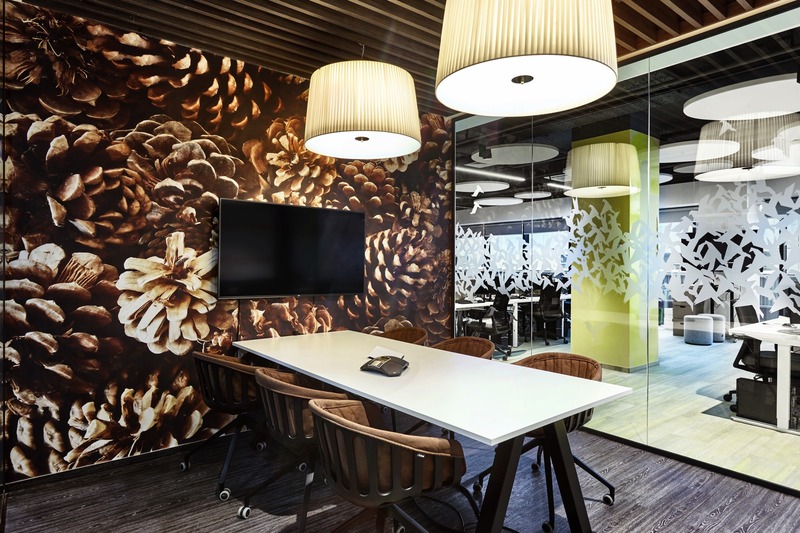 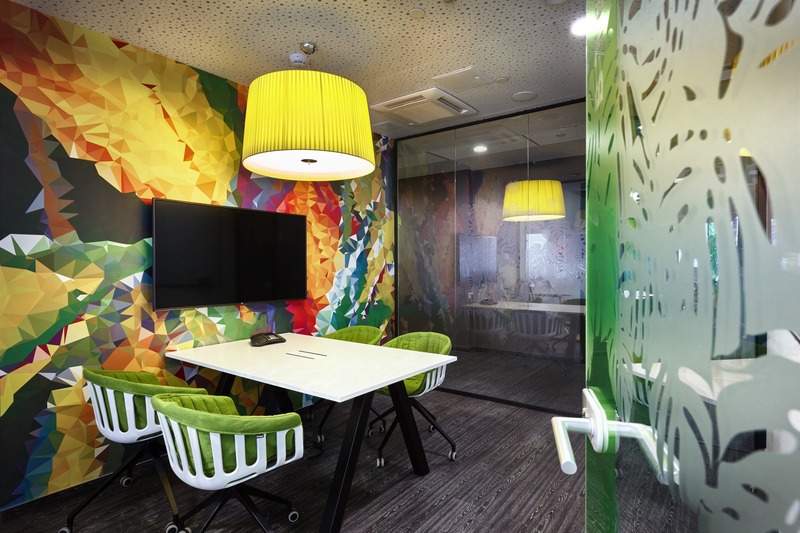 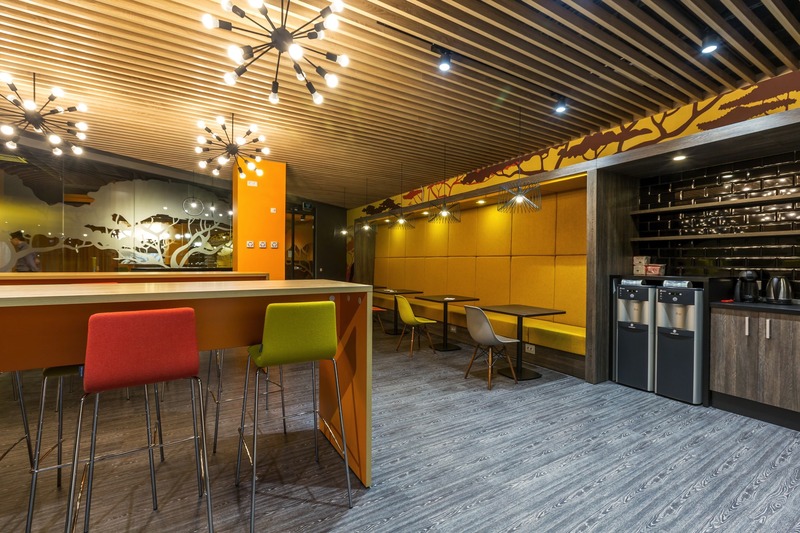 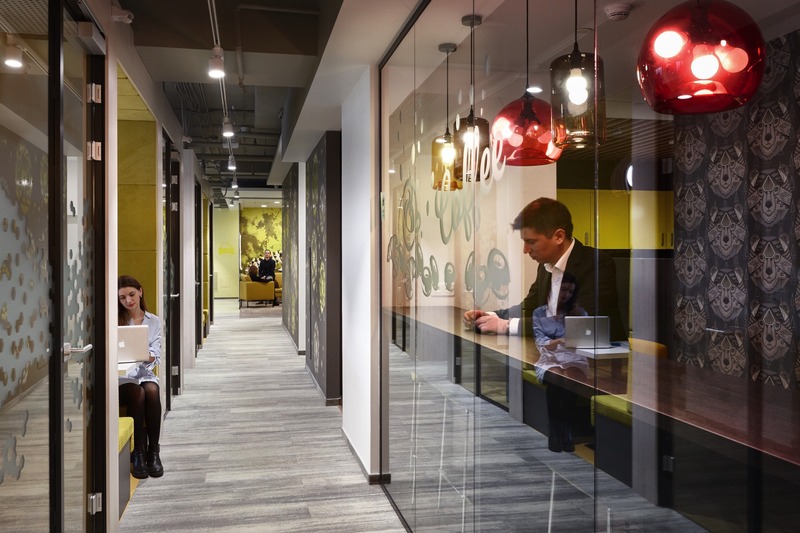 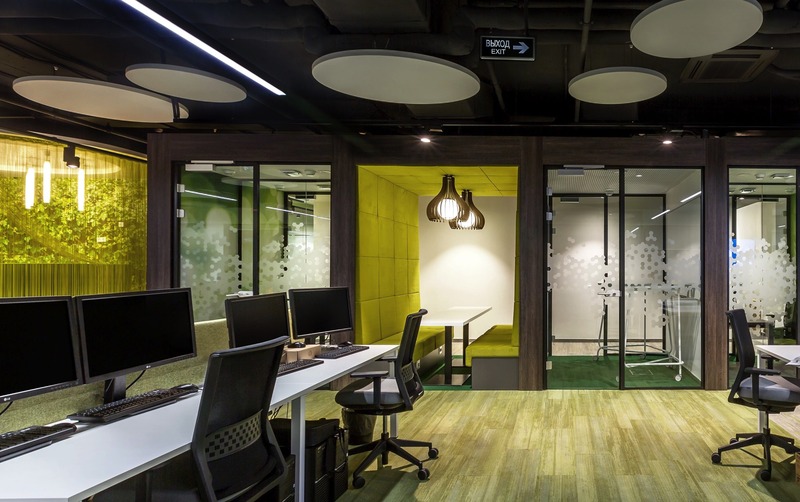 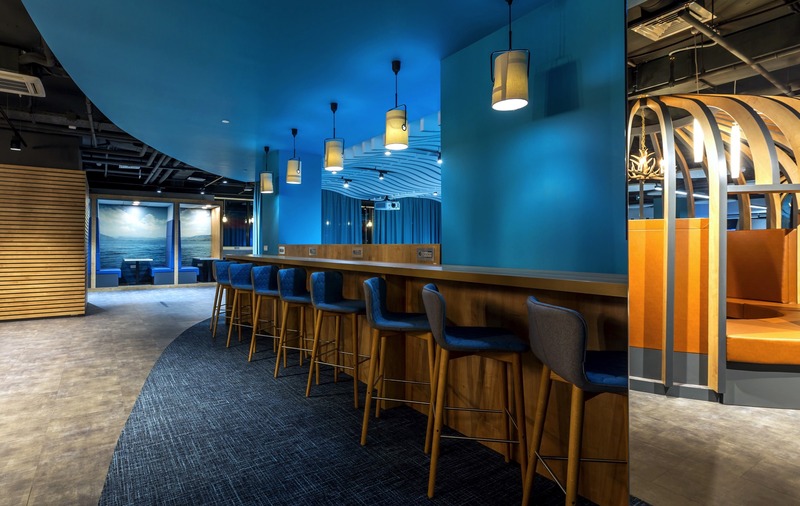 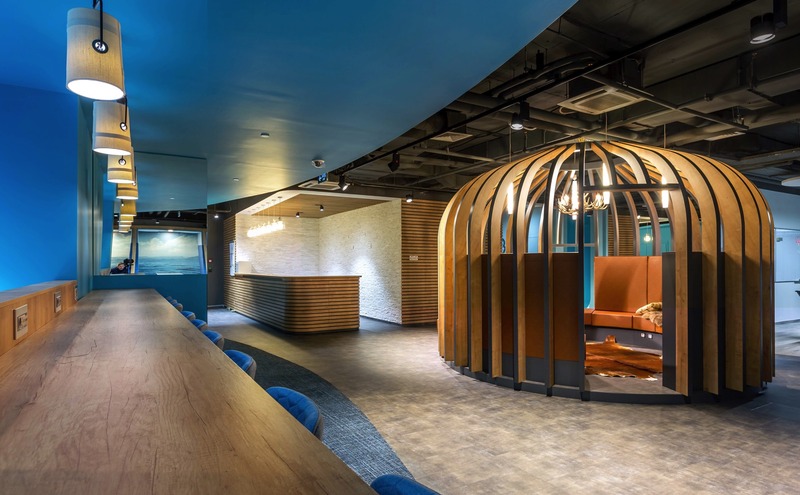 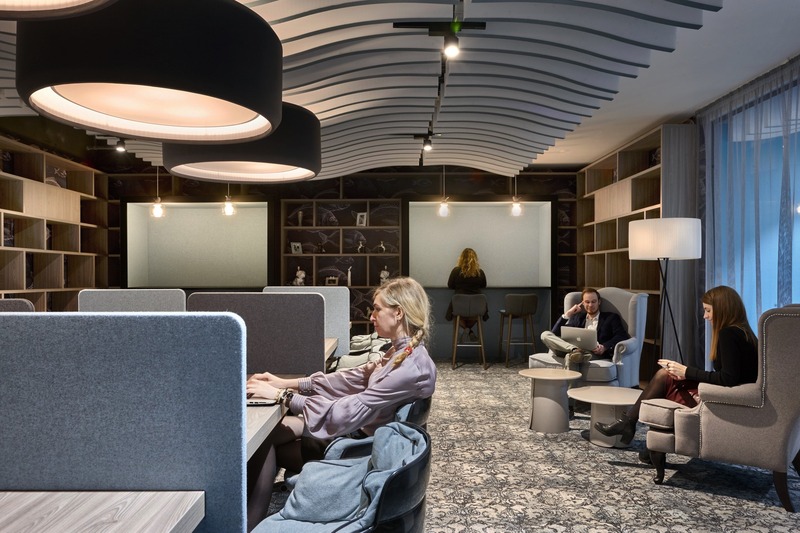 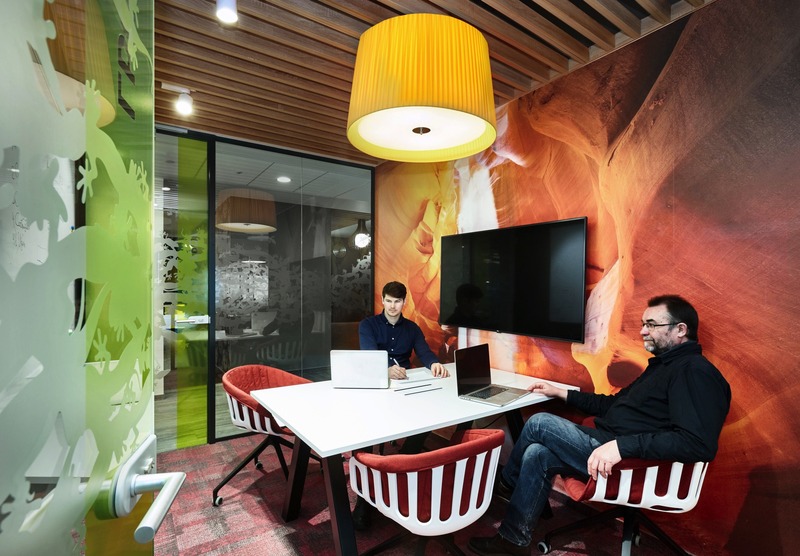 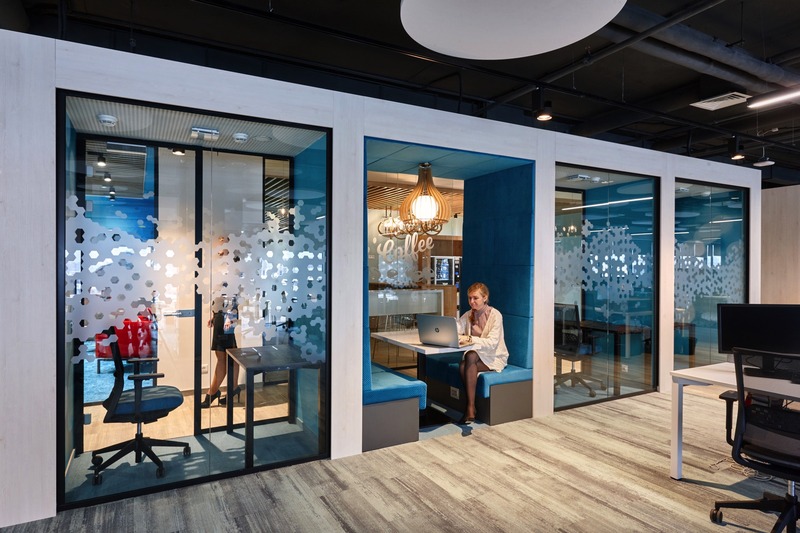 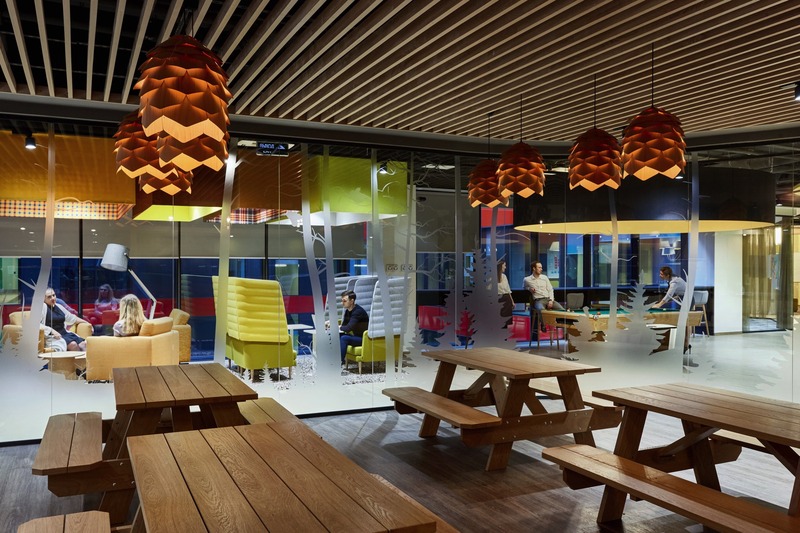 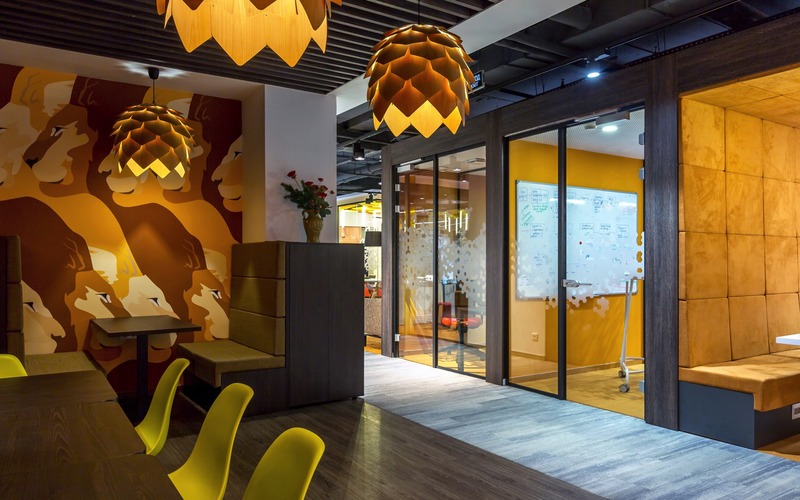 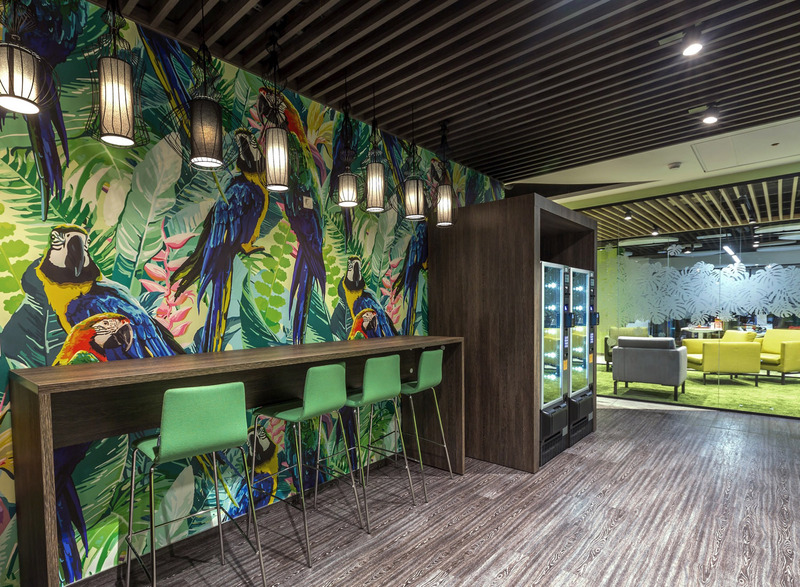 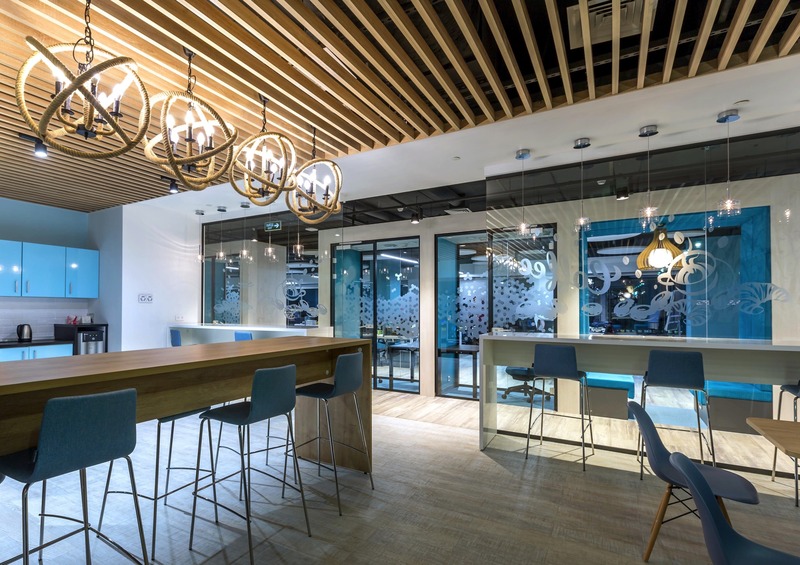 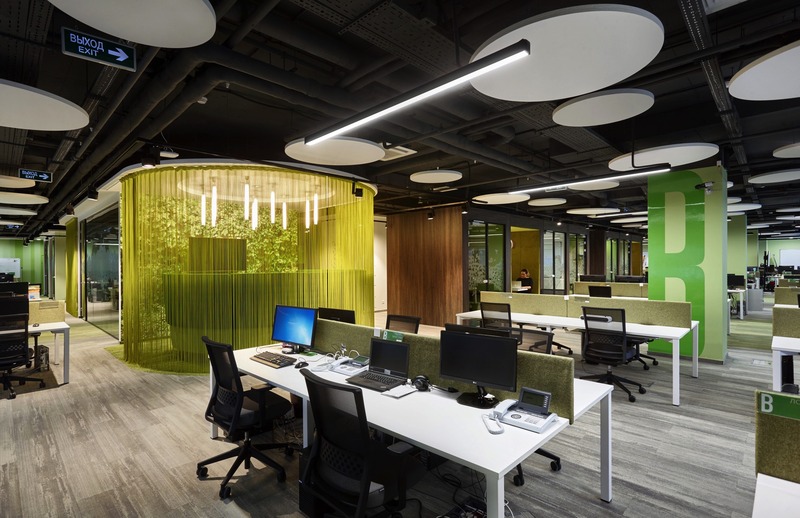 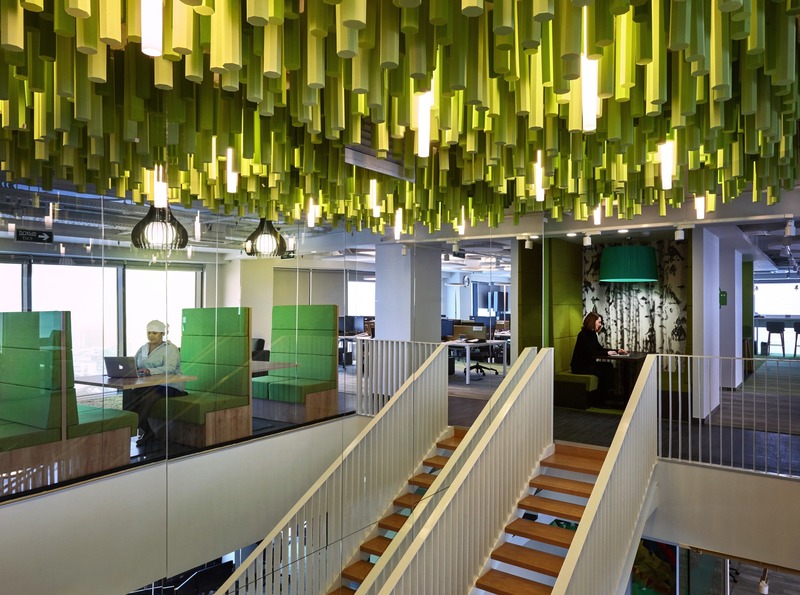 Sberbank, the largest bank in Russia and Eastern Europe, has transformed its traditional office model to an open, transparent and agile workplace. 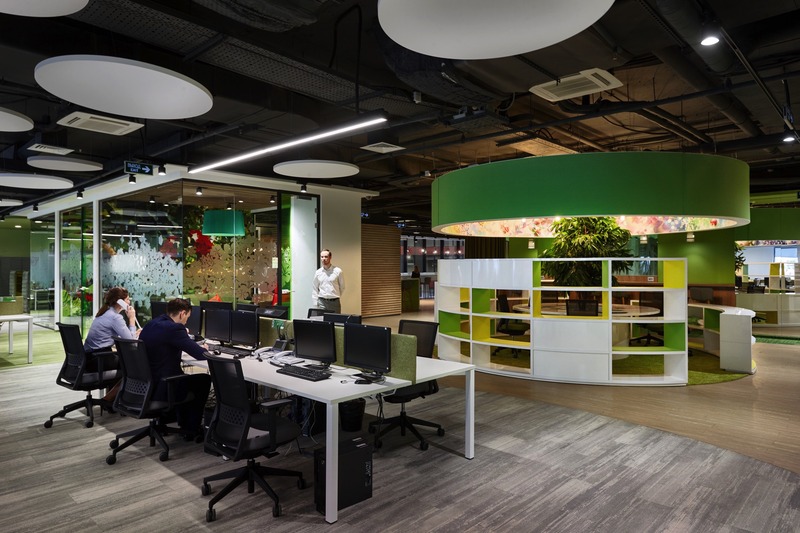 Swiss architecture and design studio Evolution Design was responsible for the design and the development of the new workplace concept over four floors in its central Moscow headquarters. 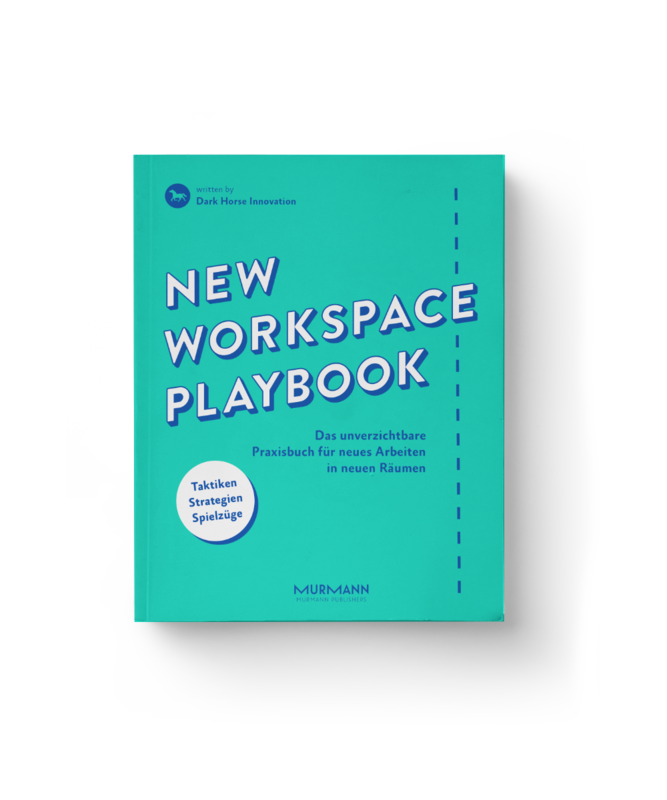 or enable the free flow of people in the space. 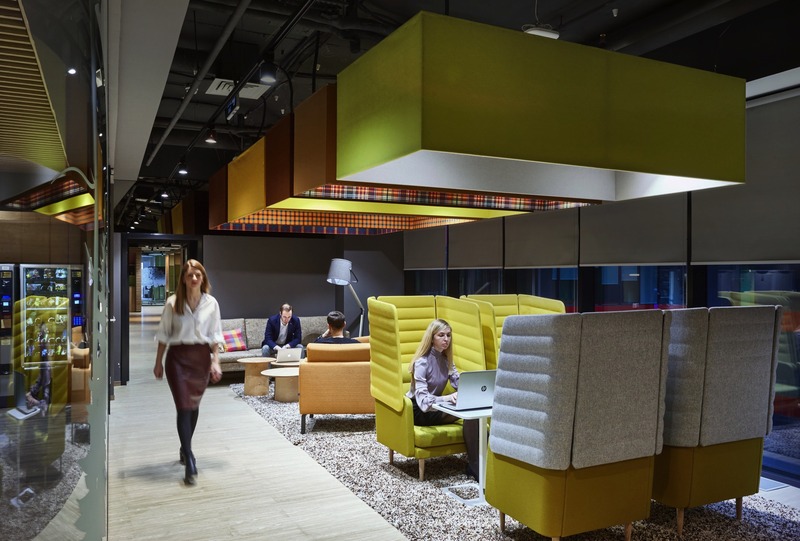 Evolution Design divided each floor into four main zones, which share a central communication hub at the heart of the office. 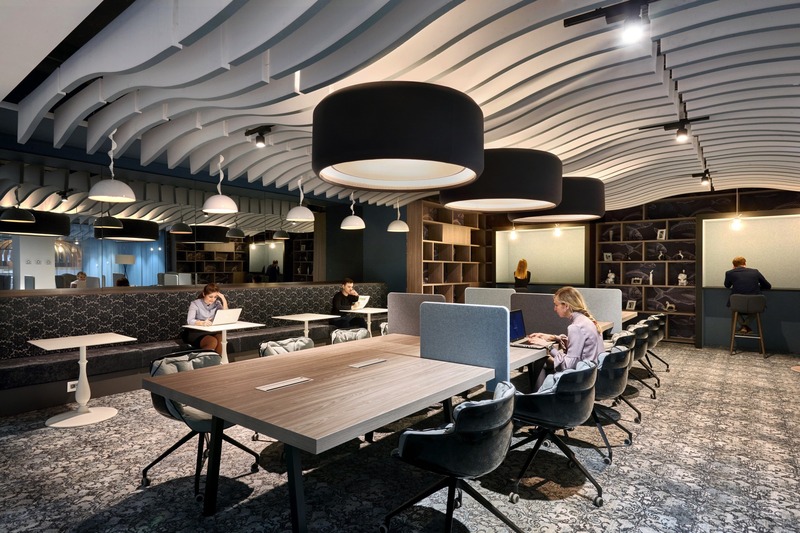 The hub is formed of a large multifunctional meeting room, a library for quiet concentrated work and two kitchens surrounded by informal seating areas. 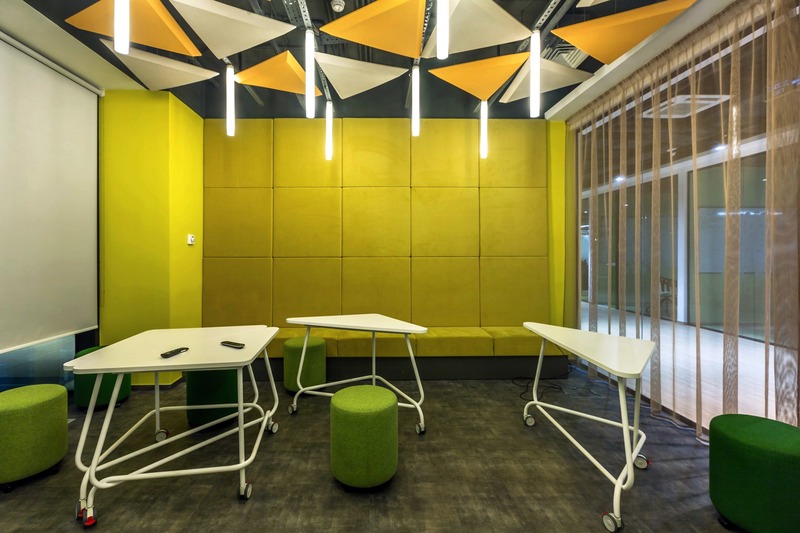 Workstations are based along the outer ring of the building beside the windows, to make the best use of daylight and ensure comfort for staff. 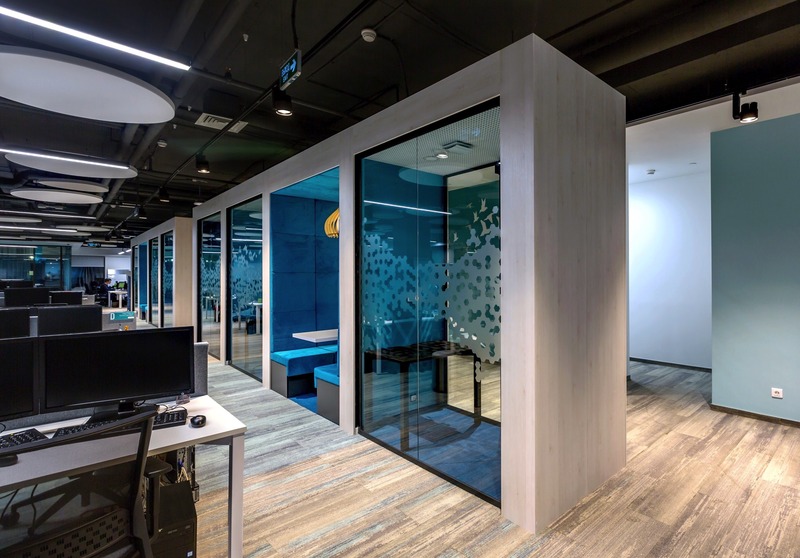 To prevent employees from being disturbed by continuous circulation across the space, a ‘room in a room’ concept was designed to be inserted between the workstations and building core. 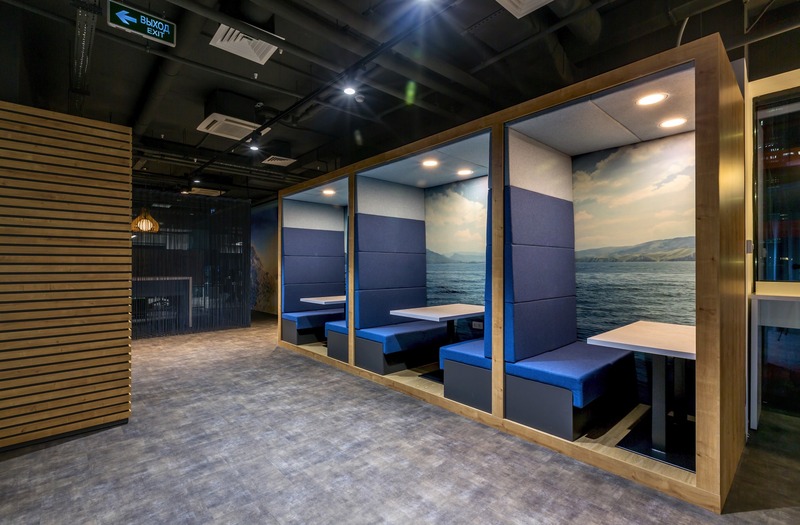 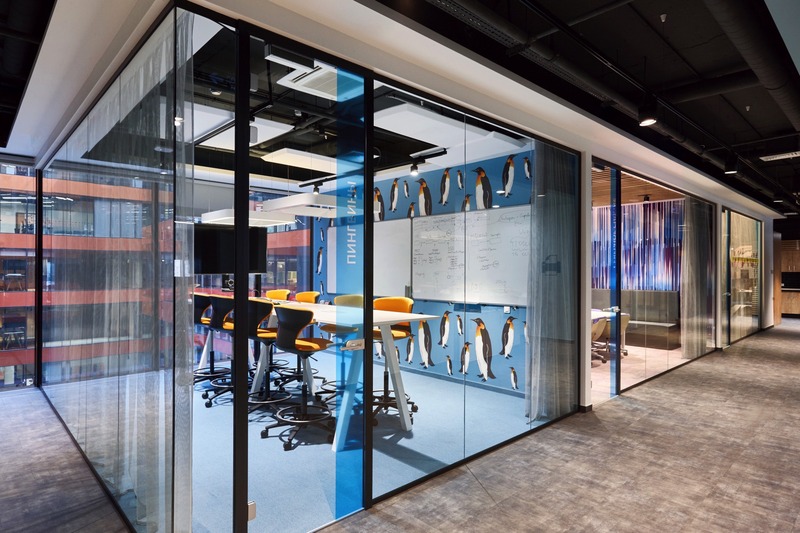 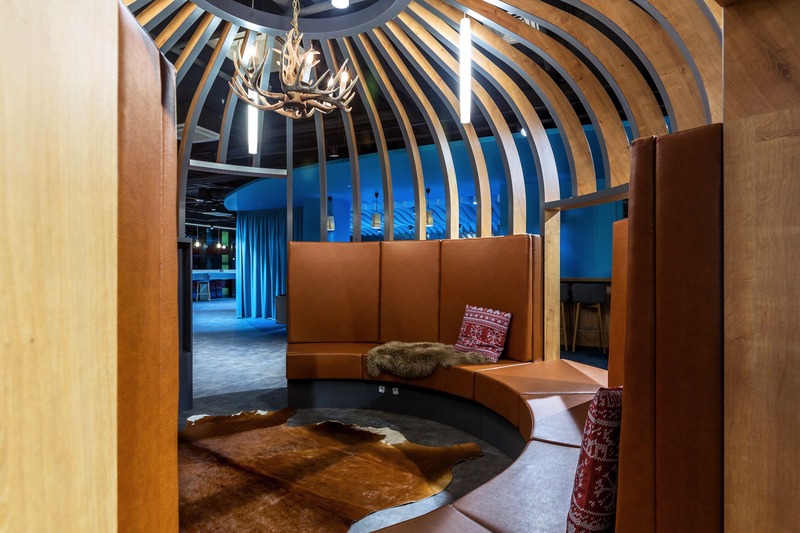 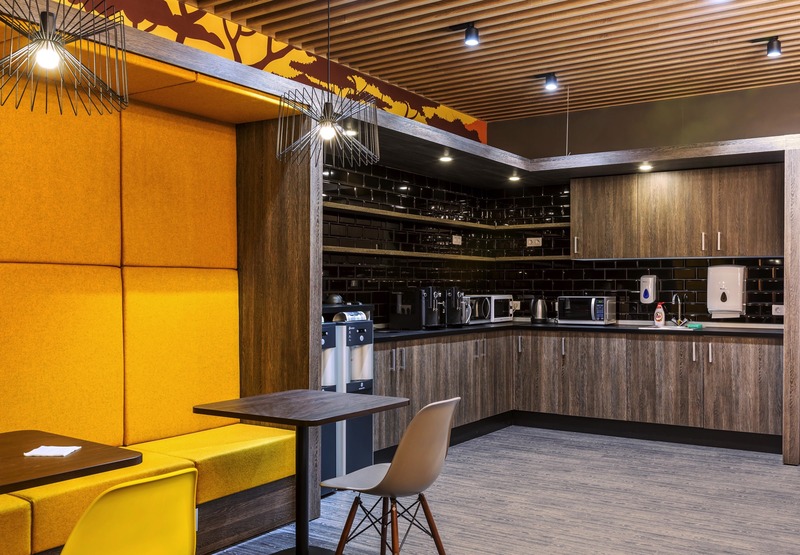 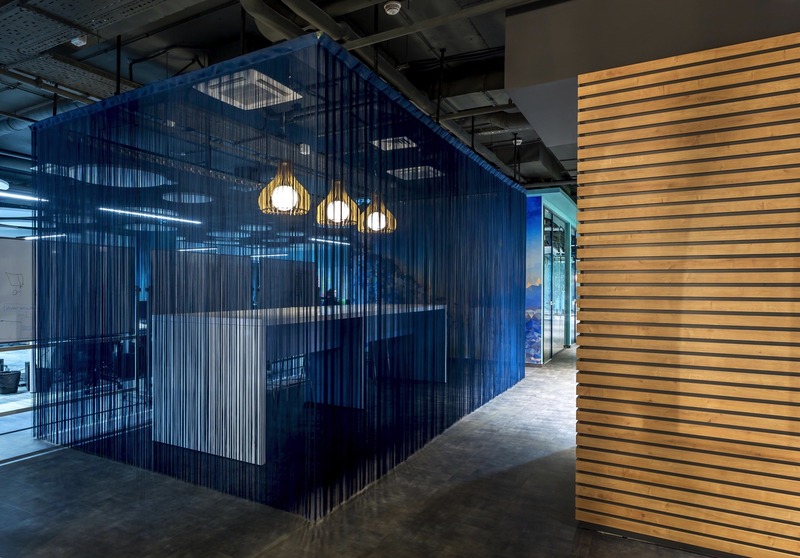 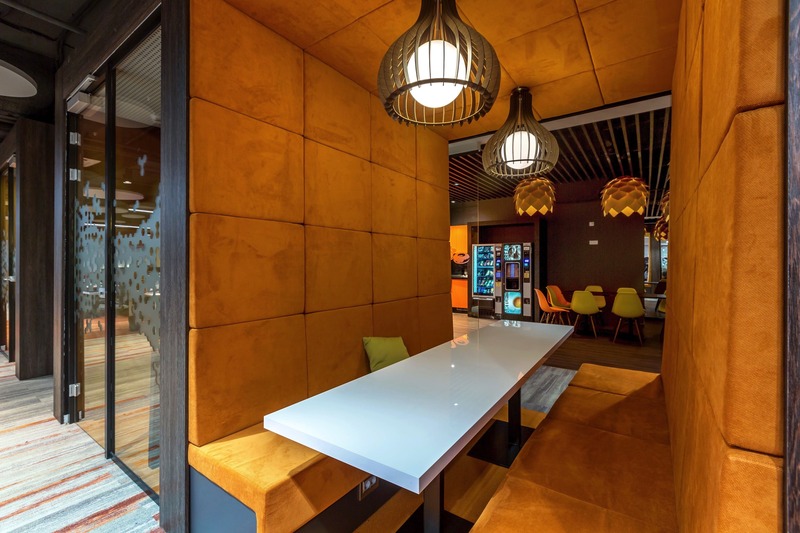 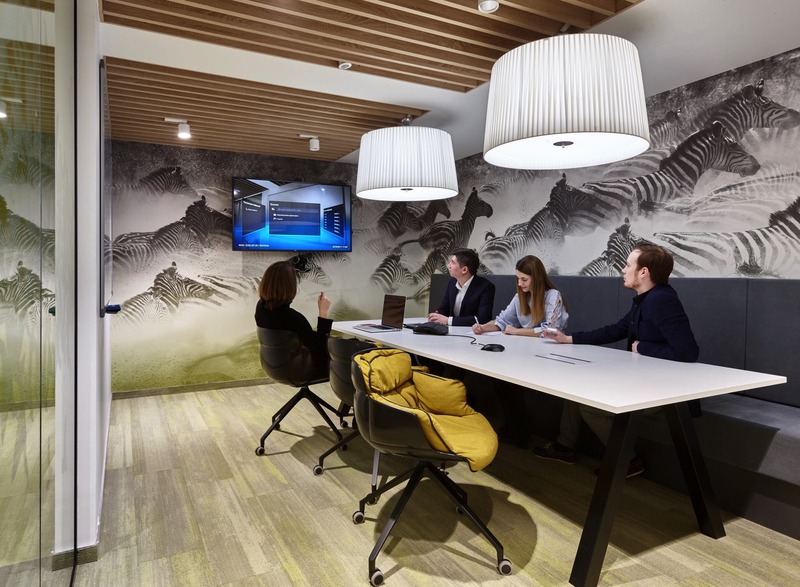 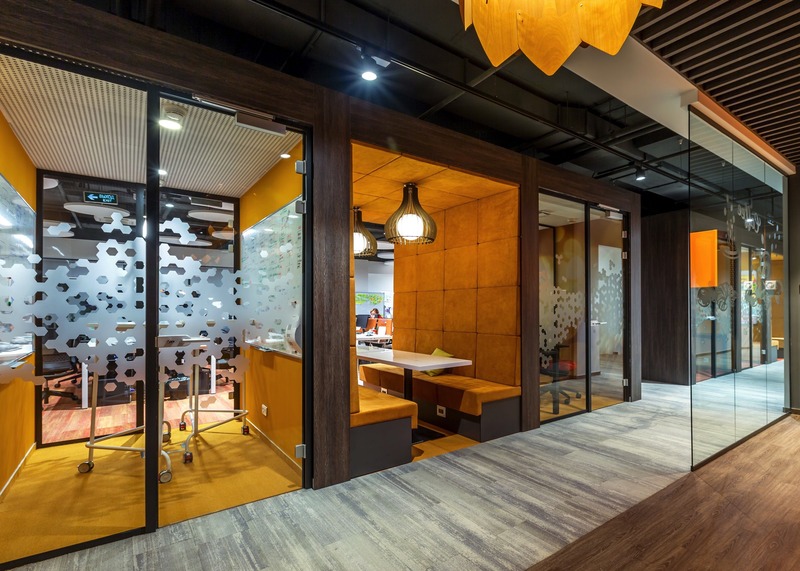 These custom-made rooms function as space dividers, separating working areas from the main circulation, but also include alternative workspaces such as small meeting rooms for brainstorming and stand-up meetings. 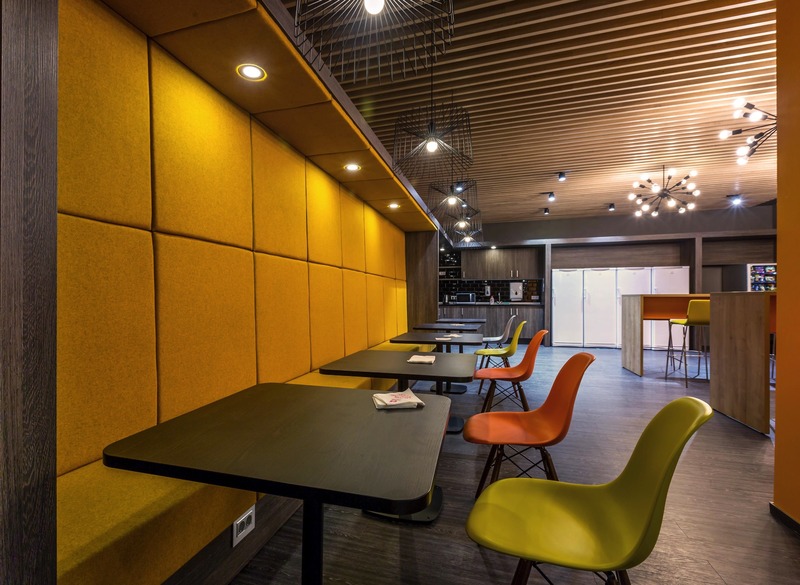 At the same time, they are useful as open, bistro-like areas for one-to-one calls and as single rooms for private calls or concentrated work. 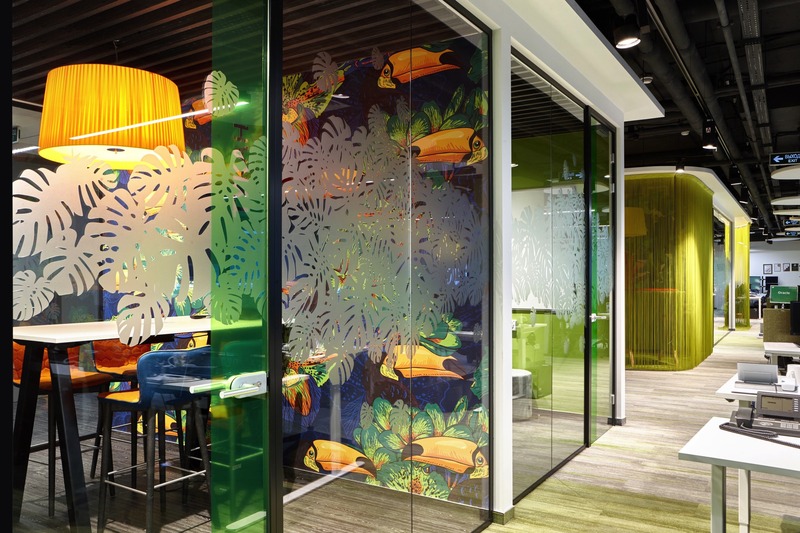 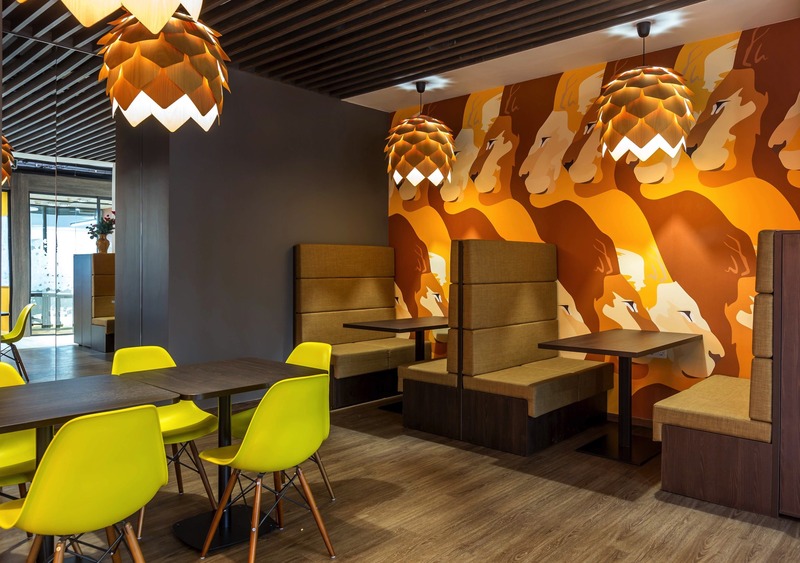 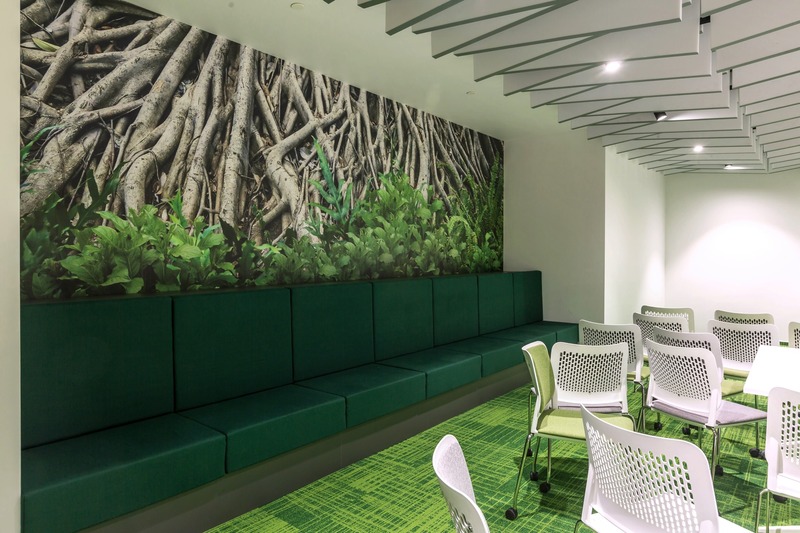 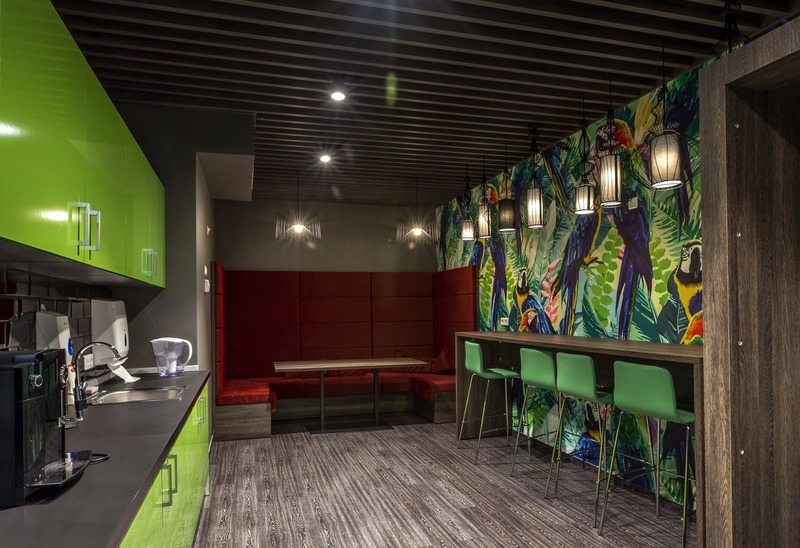 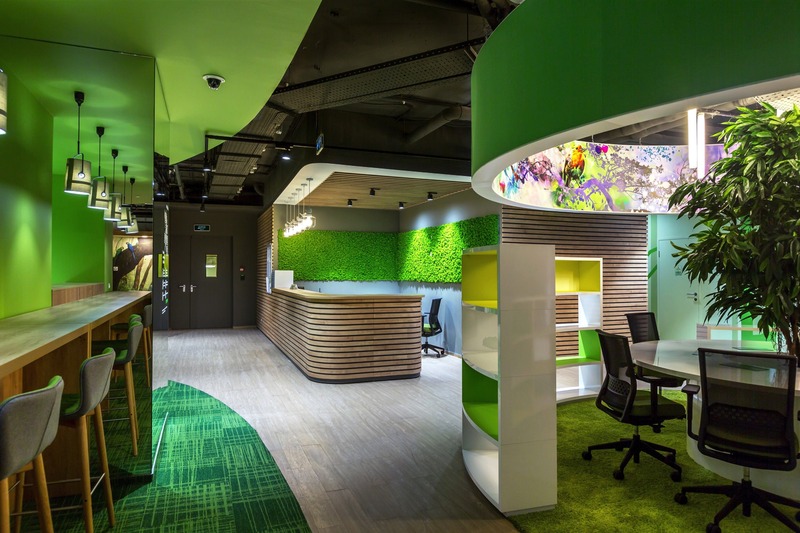 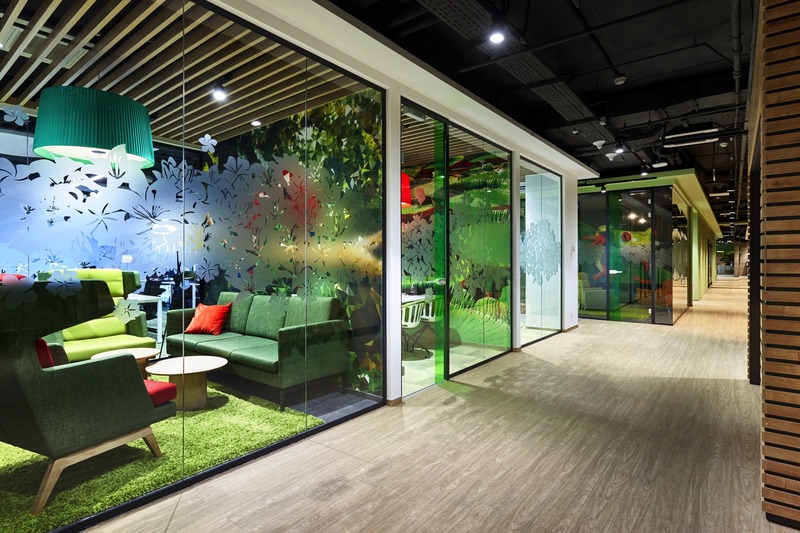 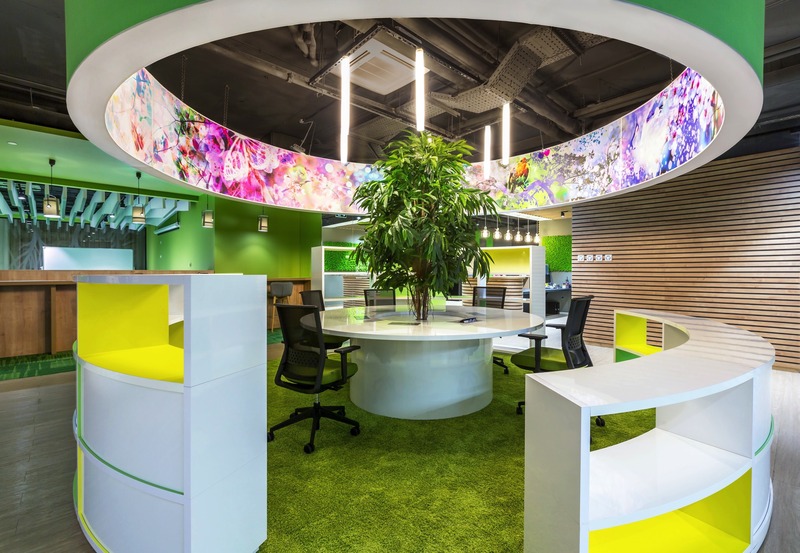 The architects also used bold graphics to create an individual look and feel for Sberbank. 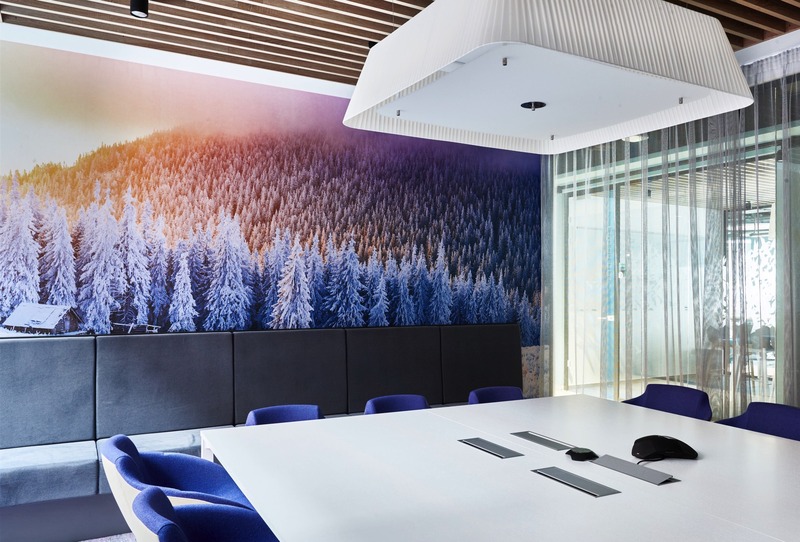 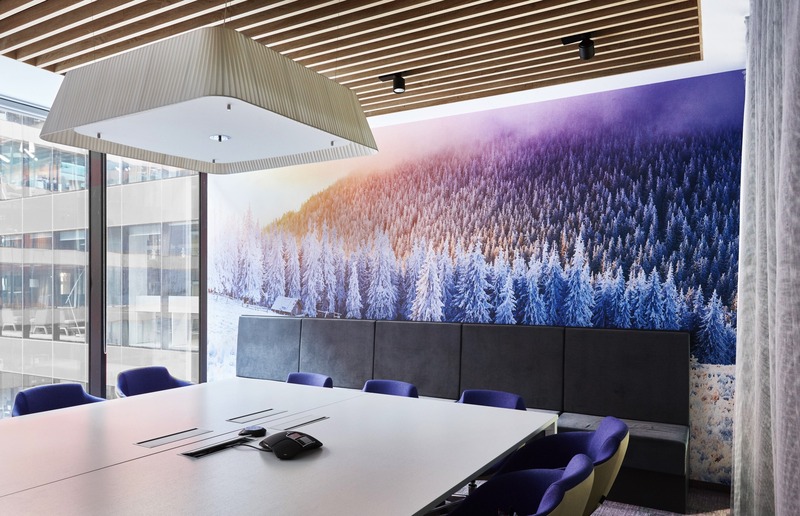 Meeting rooms feature themed wall graphics and privacy strips, ranging from bright patterns that energize creativity to photography designed to foster calm during meetings. 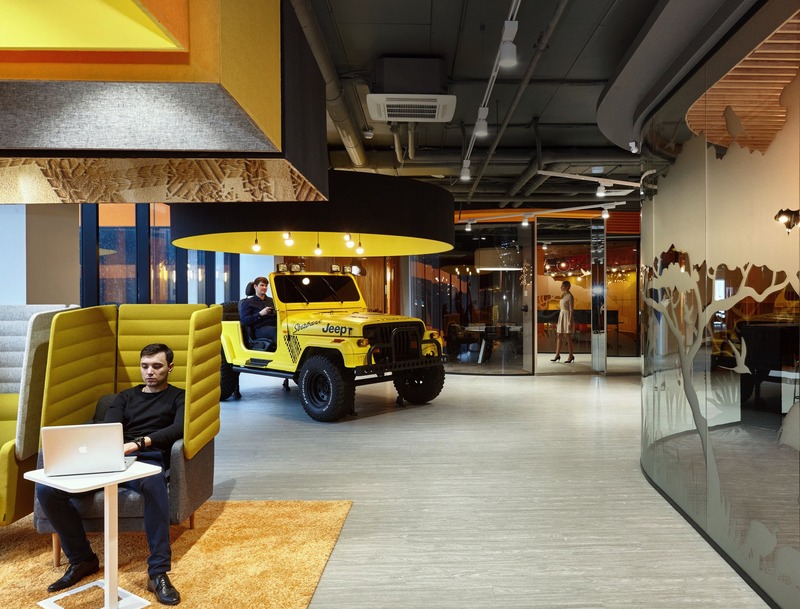 The SberJeep is not only visually a real eye-catcher: It also provides with a built-in PlayStation for good entertainment.